The ferry from Klaipeda arrived in Kiel, Germany at 10 pm were a friend of mine was already waiting for me. The plan was to stay the night at his house, have lunch together the next day and then take the train back to Berlin where I would change from cycling to paddling and leave three days later for Sweden. But things didn't go that way. Once the shock had subsided I checked my body. Everything was aching but I could still walk. I did not seem to be seriously injured. I was limping a bit, but I thought that this would go away soon. As planned my friend and I went for lunch and I headed to the train station afterwards. The trouble began when I was sitting still for several hours on the train. My knee started to swell and hurt once I got up. When I arrived in Berlin I realised that I could not cycle several kilometres from the train station to my friend's home where I was supposed to stay for three days. I decided to take the Metro although this involved one train change - but there are elevators in all Berlin metro stations, at least in theory. In practice the second elevator did not work and I had to take the escalator which was kind of a risky business with my fully loaded bike and my shaky knees. It took forever to reach my friend's house and I was close to tears from pain and exhaustion when I finally arrived. But things got only worse the next day. I could hardly walk. I was bent like a fairy tale witch and my friend had to give me a walking stick. It started to dawn on me that it wasn't probably such a good idea to leave for a paddling trip in two days. There was no way I could haul around a foldable kayak and my camping gear in that state. Also I started to worry how serious the knee injury really was. I had to see a doctor. I was quite an eye-catcher in the doctor's practice when my name was called up and I could hardly get up. The doctor who knows my different life style very well was shocked. But after a long examination the diagnosis was not too bad: Most probably nothing serious like a ligament rupture had occurred. I was just suffering from an irritation of the meniscus - and that would go away with time. I was told to rest some days and if my knee got better then I could embark on my trip then. Still, leaving on Friday as I had planned earlier was not such a good idea. Luckily I could cancel the train ticket for an affordable fee and I booked a new one for Tuesday. I was even luckier that my friends turned out to be really helpful: I was offered several couches to stay on during this unexpected interlude. So now I am stuck in Berlin waiting for my knee to get better - which it luckily does. I could walk without a stick already the next morning and although the knee is still painful when stiff I can already walk properly once the muscles have warmed up. I think I'll be able to leave on Tuesday. I would not embark on a hiking or cycling trip with this knee problem, but luckily I am going to paddle. So the plan is now to take to train to Southeast Sweden and start paddling in the archipelago there until I get to Mem and the entrance into the Götakanal. 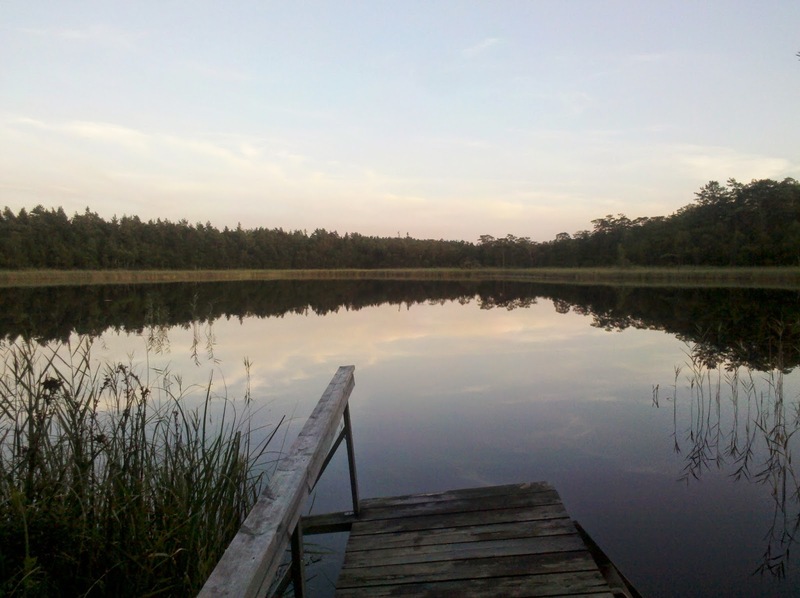 I then want to paddle the entire Götakanal to Lake Vänern, the third biggest lake in Europe. Depending on the weather I will either paddle around it or take to train to Köpmannebro the entrance into the Dalsland canal and lake system. This area is an extremely popular paddling destination where 93 campsites with shelters are provided for paddlers. These installations are ideal for my purposes as I will paddle there in October which might already be a bit chilly in Sweden.... Basically I am planning a paddling traverse of Southern Sweden. So, please cross your fingers for me that my knee heals quickly! Let's start with the usual question: Did I like the trip? The answer is a definite YES! This was a Type I Fun trip: I liked the trip while I was doing it and I like it in hindsight. 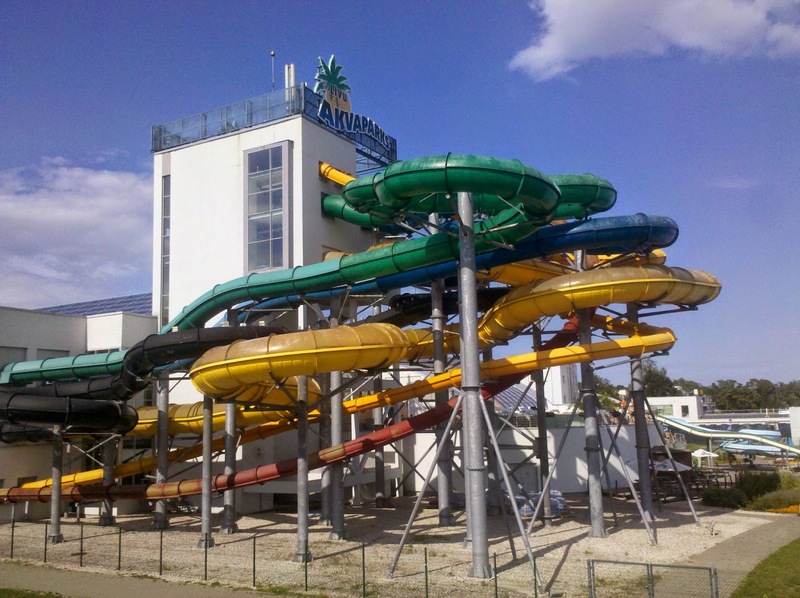 It was exactly what I had wanted: An interesting, but still relaxing and enjoyable trip. Would I recommend it to a friend? That depends and if you read my conclusions of Finland and the Baltic States you will know why. This has definitely not been a very spectacular trip and there are easier countries for cycling than the Baltic States. But if that is not that important for you than I can definitely recommend these countries. Travel time: Again I had to realise that I only start to really appreciate a country after staying there longer than 2 weeks. The reason for that is easy: It takes that long to learn some tricks that make life easier like learning a few words of the foreign language, knowing what food to buy and where, discovering what costs how much and the like. I feel a lot more comfortable in a country after having gone through this learning curve. In the future I'll stick to the idea of rather exploring one region or country thoroughly instead of going through several countries in a short time. Daily mileage: My normal daily mileage turned out to be around 90 km - and I felt very comfortable with that. Physically I could do much more but I realised that doing less than 100 km per day is a more sustainable pace. I never felt stressed out or exhausted, I needed less town stays and I still got all my chores done easily and cheaply (like washing clothes and myself, recharging batteries, going shopping). Cycling in Europe with a lot of sightseeing to be done I will now calculate around 2,000 km per months or 500 per week. Shoes: Like on hiking trips I only carry one pair of shoes while cycling. So far I have been cycling with trail runners but this system has turned out to be problematic. It is difficult to get quickly in and out of the shoes, you sweat a lot in closed shoes in the heat and once the shoes get wet, they take forever to dry and leave you with cold feet because other than while hiking you don't move your feet that much while cycling. So this time I have used sandals - and this has turned out to be a great success. I have used Keen Newport "waterproof" sandals with a toebox - and this will be my default shoe system from now on on cycling trips. Sandals are very easy to get in and out of. They were perfect for getting into the water on rocky shores and muddy beaches. My feet never sweated in the heat. And when it rained, the shoes and feet dried quickly. The few times when I experienced cold rain I wore neoprene socks and my feet were never cold. Rain pants: So far I have always used my regular hiking rain pants for cycling - with frustrating results: these rainpants quickly ripped in the crotch area and were also kind of uncomfortable on a bike when your body moves differently than while hiking. For this trip I have bought specific bike rain pants and they were well worth their money. The crotch area is reinforced and did not tear or rip at all. The knee area is pre-formed and is not restrictive while cycling. Plus you can cinch up the leg are with velcro straps. This will be a new default piece of equipment for bike trips. High visibility vest: This was the first trip during which I was wearing a hi-vi vest all the time - and I must admit that it gave me extra piece of mind. Maybe I wasn't safer, but I definitely felt a lot safer. The vest is cheap, hardly weighs anything and become a standard piece of clothes. I'll wear one on any future bike trip were I'll be cycling predominantly on roads - no matter if they are legally required or not. All three Baltic States try very hard to promote themselves as bike friendly destinations, but to be honest: they have still a long way to go to reach that goal. That does not mean that I don't recommend cycling there - I just want to say that this destination is not for ideal for every cyclist. I personally enjoyed my trip there a lot and same parts of it were real hightlights that I would recommend to almost everyone. Still, overall on this trip I preferred Finland to the Baltic States. So what were the problems? The biggest problem is the state of roads and lack of suitable bike paths. A lot of even major roads are still in very bad shape. You'll encounter (badly mended) pot holes, crumbling asphalt and deep lane grooves - and all this can be very dangerous for cyclists on busy roads because unfortunately what you will encounter very rarely is a decent shoulder or bike path. Even on major highway you can't avoid traffic by cycling on the very right: deep lane grooves make that too dangerous. You'll be right on the traffic lane where Russian trucks will pass you with millimeters to spare. 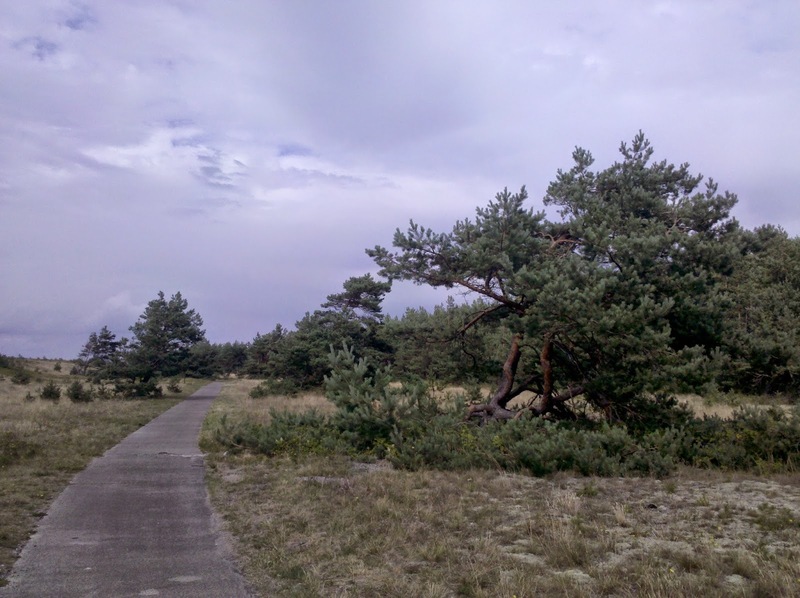 Even if there is a bike path you will usually prefer the road: most of the Baltic bike paths must have been built during Soviet times and have never been mended ever since. They are bumby, potholed - and have no lowered curbs. To make things worse a lot of even bigger roads are still dirt roads - and mostly of the worst kind. Usually you will find coarse gravel instead of dirt and because of reckless drivers they are mostly badly corrugated. You will either bump along the corrugation or get stuck in deep gravel - neither is very nice with a fully loaded bike. There is hope so: With the financial help of the EU more and more roads are getting overhauled now and that means that usually a picture perfect bike path is built alongside. There is only one thing that Baltic road engineers have not learnt yet: to lower curbs. I have seen so many brand new bike path with almost unsurmountable curbs. Also, some new bike paths just end as abruptly as they start: More than once I ended up in front of a road barrier, dirt track or curb. 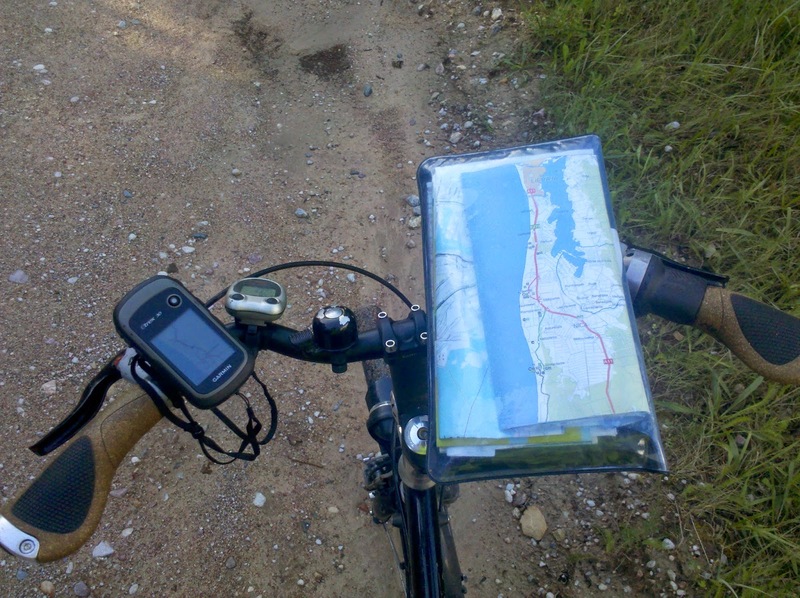 Cycling on designated long-distance bike routes is a mixed experience. 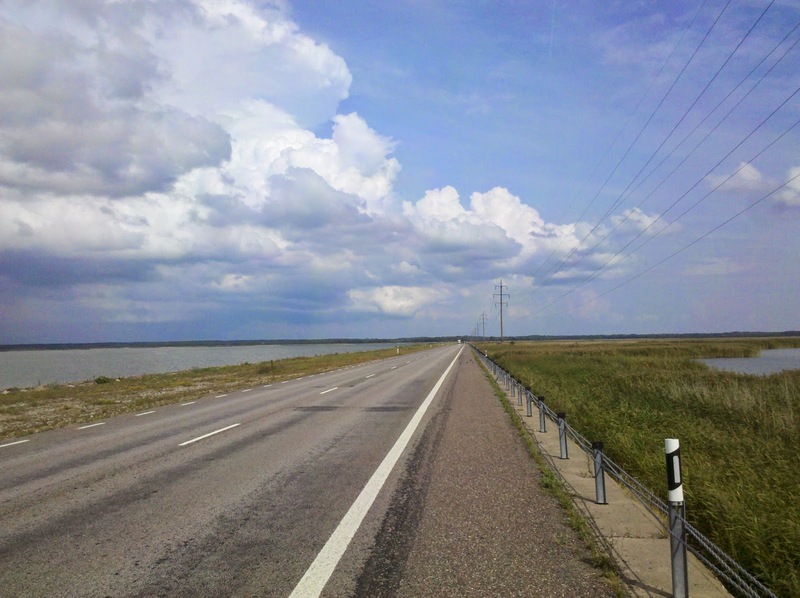 The EV 10 and EV 11 that traverse the Baltic States try hard to route you on decent roads but that does not always work: The EV 10 still has long stretches directly on the busy and dangerous coastal highway and the EV 11 goes through some dirt road hell. 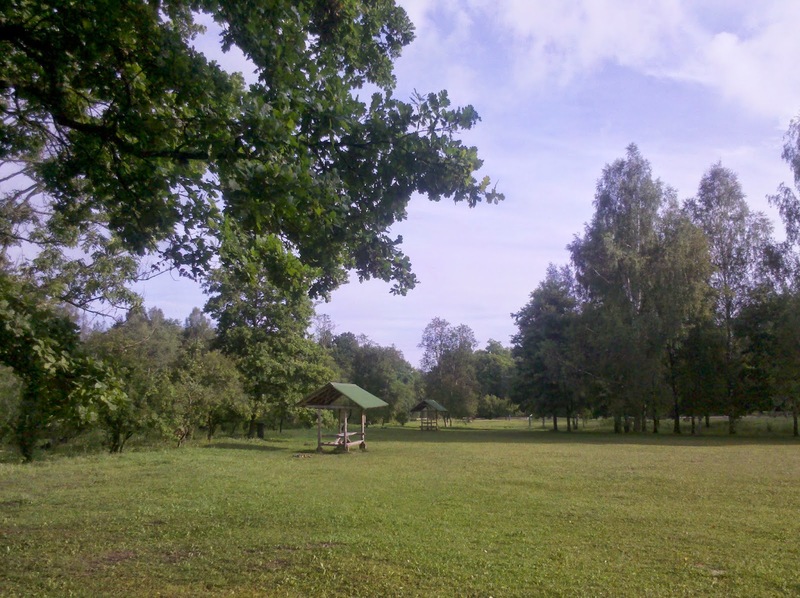 The biggest disappointment though was the Tour LatEst: This is a joint project of the Latvian and Estonian tourist authorities to create a bike route through Northern Latvia and Southern Estonia. They have published a brilliant guidebook that you can get free in visitor centres along the route or download from their website. The route looks great on paper - but is hell on the ground. Half of it is on dirt roads and it is impossible to cycle it comfortably with a fully loaded road bike. After cycling one months through the Baltic States I had a broken spoke and my almost new back tire was totally worn. With EU funding several brochures and booklets for cyclists have been published. 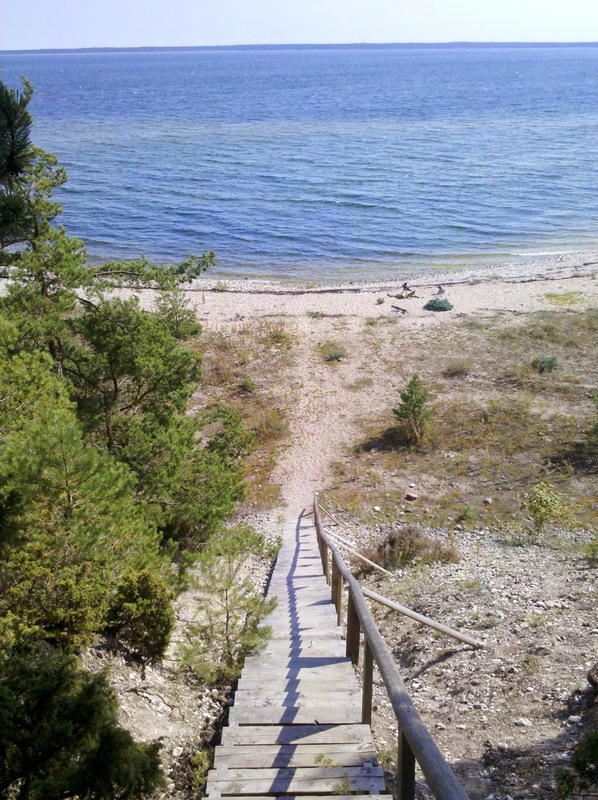 The most useful one is the guidebook for Western Estonia covering the islands of Hiiuma and Saarema - and this fabulous guidebook is even available for free! 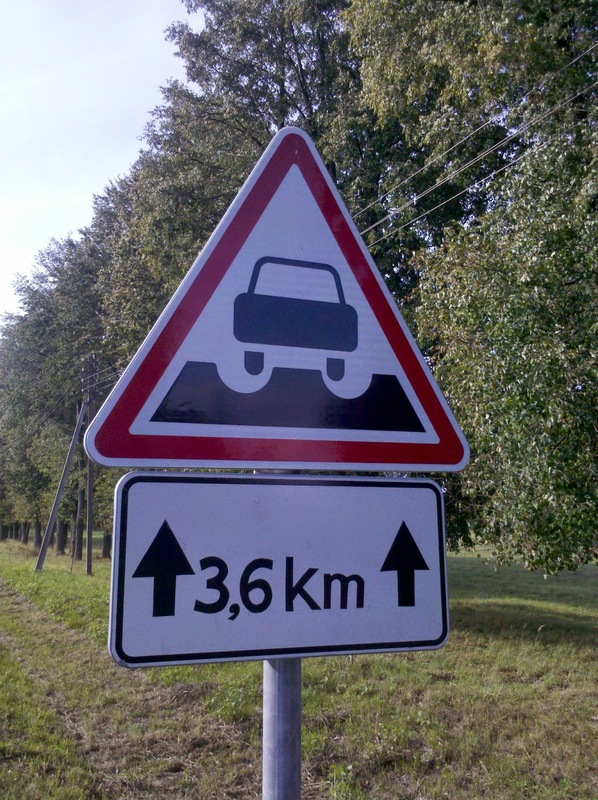 Drivers in the Baltic States are usually peaceful and try to give you a wide berth. I was honked at very rarely. But as there are not many cyclists in these counters, drivers are not used to them. Cars and trucks sometimes pass you way too closely and cars racing down dirt roads at 100 km/h cover you in dust or throw gravel at you. 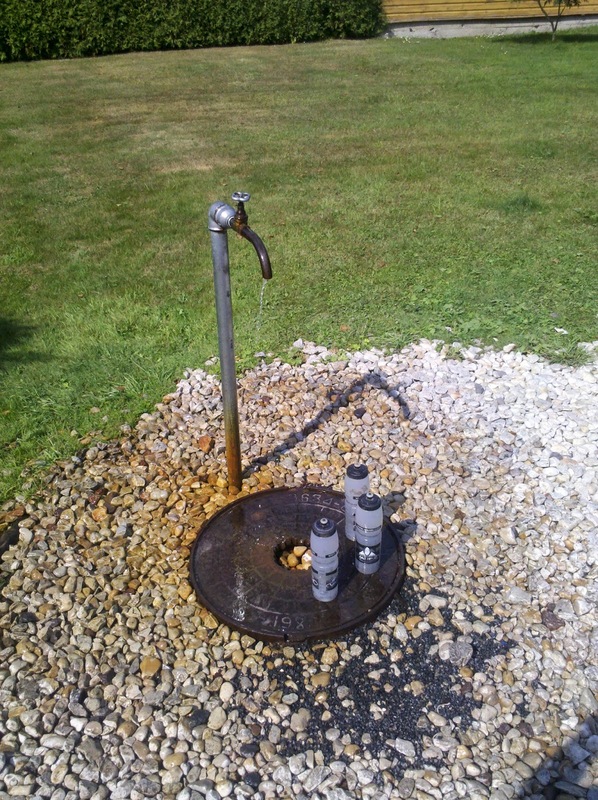 There was one more thing that I found a bit annoying: the lack of public water sources. In every Western country it is more or less easy to find water, for example from public water taps in cemeteries, gas stations, super markets and the like. 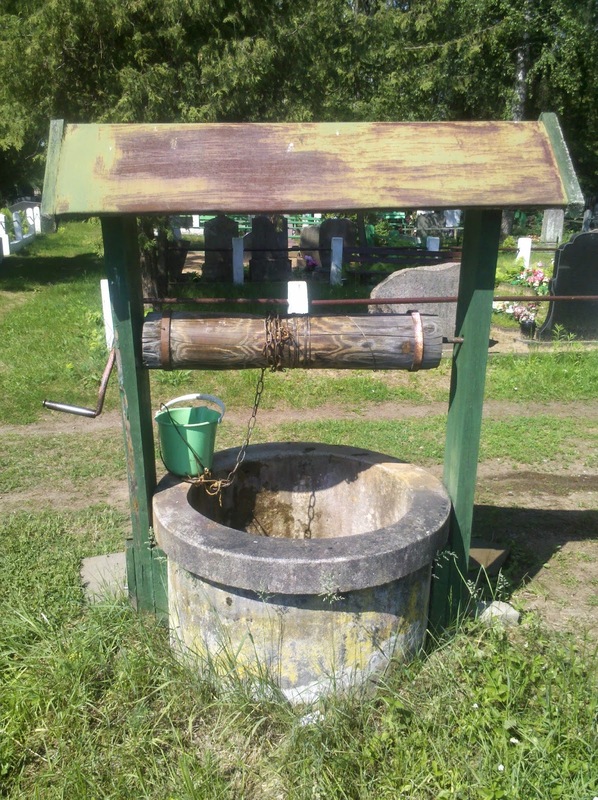 In the Baltic States this was a huge problem: Most rural areas are not connected to the public water system or the water from the taps are not drinkable. The population gets their drinking water from wells on their property and either don't have a tap or use tap water only for washing. For a cyclist this means that you either have to buy bottled water (cheap for around 0,80 EUR per 5 litre bottle) or try to get access to one of these wells which can be difficult due to dogs and/or fences. I ended up either getting water from wells in cemeteries or buying water. But that is enough of negative points. As I have stated earlier I have really enjoyed the Baltic States - so what makes them so interesting? Let's start with some practical points: First of all free camping is legal and usually very easy. 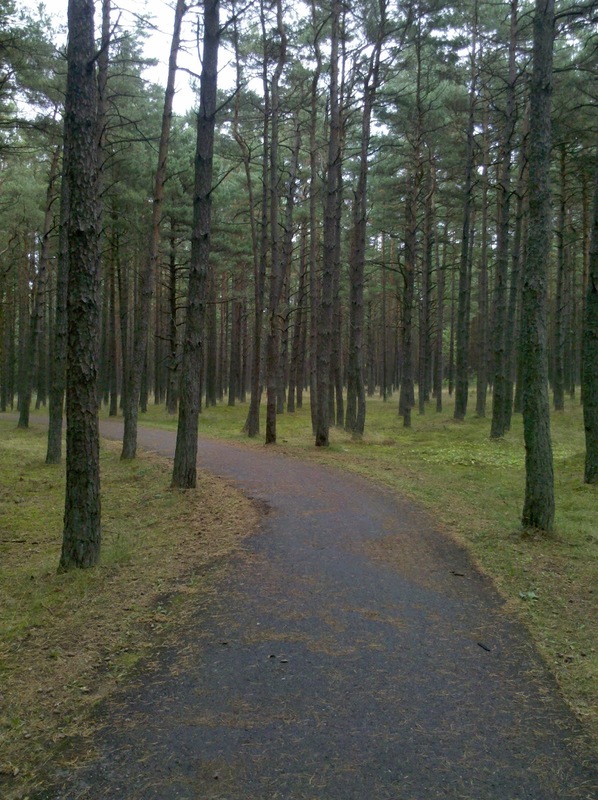 All three Baltic States are densely forested and it is usually very easy to disappear in the woods. Although there are "swamp" forests like in Finland they are not that widespread and more often you'll find a perfect flat camp spot in pine forest. Beware that mushroom hunting and berry picking are very popular and you'll see people in the forest from early morning to late evening - although most likely they will not bother you. 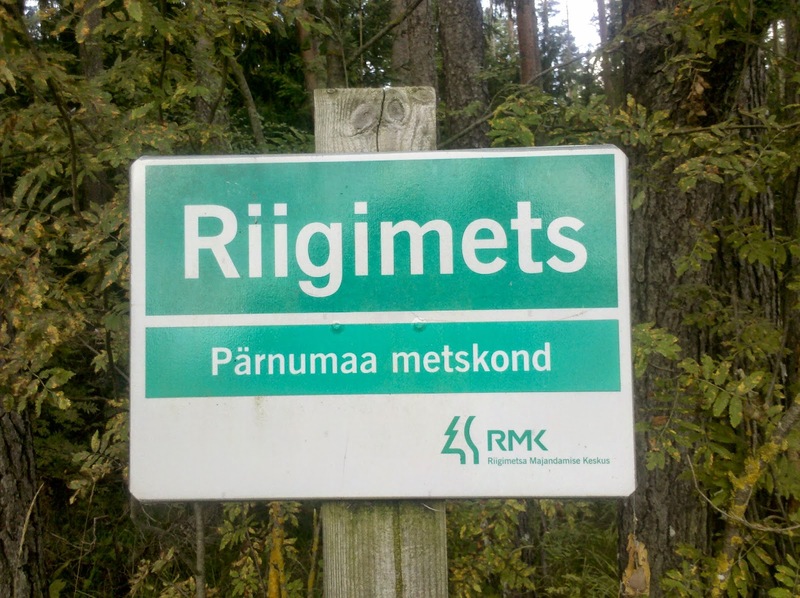 Estonia is the most camper friendly state: RMK is the national forest agency and they have created many free campsite and camp fire sites. 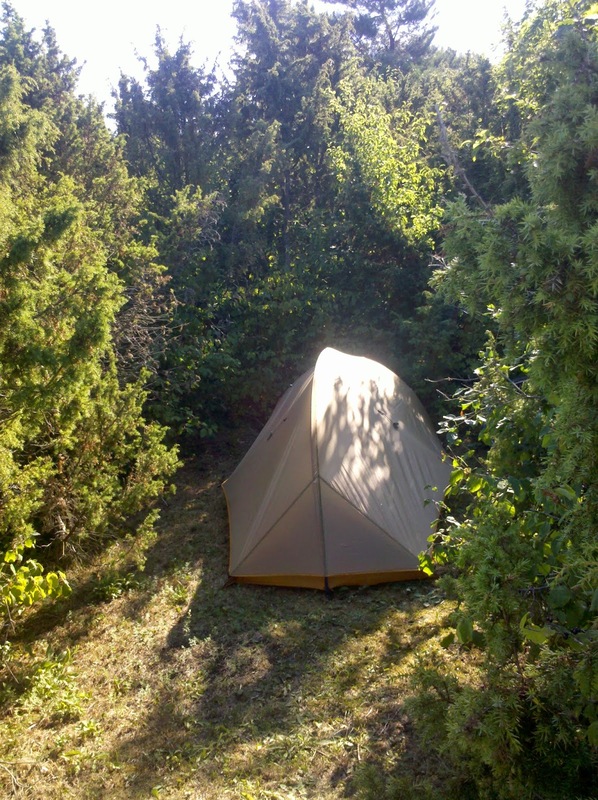 At campfire sites free firewood is provided and the campsites usually come with a dry toilet and trash cans. There are even free huts! You can find the location of these sites on the RMK website where you can search for sites in the area. Even the GPS coordinates for each site are given there and there is an App in English as well. I have used these RMK sites a lot but keep in mind that some of them (especially those with car access) can get very busy in summer holiday season. 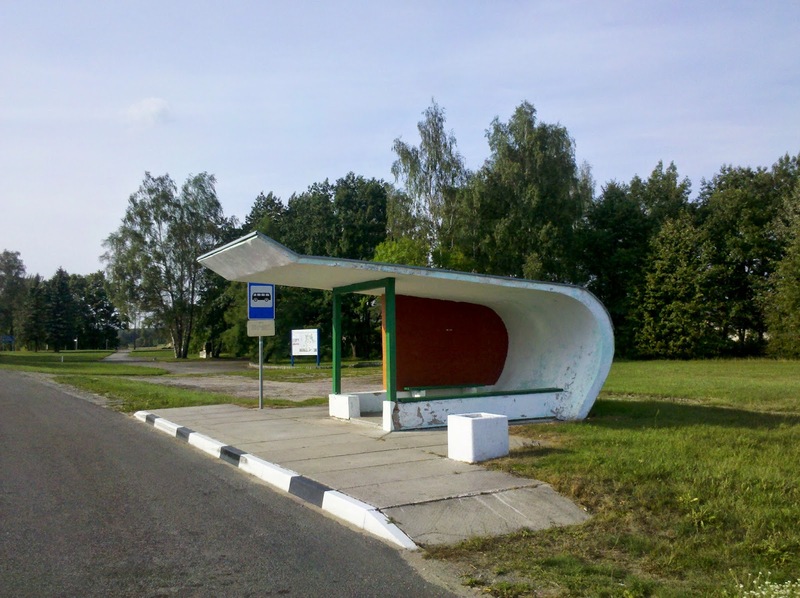 Another fact that might sound trivial but came in very handy is the abundance of bus shelters. It was raining on and off a lot and usually you'll pass a convenient bus shelter in time to seek cover. And although I have used it myself only once bike transport is very easy with public transportation. 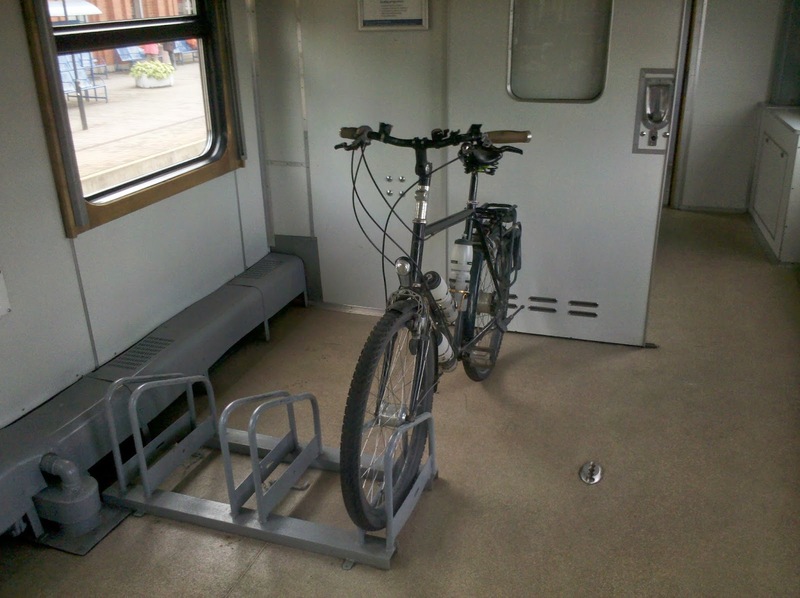 I have heard from several other cyclist that they have put their bikes on trains and long-distance buses without a problem. The same is true for ferries where you only pay a small surcharge for bicycles. Resupply is also very easy. Even small towns usually have a little shop - although they can be difficult to spot. Grocery stores are conveniently open every day including Sunday and often they only close at 10 pm! Prices though are a different story. I was shocked how expensive food is in the Baltic States. Many (imported) items are even more expensive than in Germany, especially chocolate and other sweets and canned food (except from Russian origin). But there are cheap foods as well: Look for dairy products, pastries and local fruit and vegetables. Which now brings me to my favourite food in the Baltic States: Because chocolate was relatively expensive I started to drink 1 litre of yoghurt every day. Yoghurt here is sold in bags and can be as cheap as 0,85 EUR per kg. My favourite was "wild strawberry" flavour. But my nicest discovery was kohupiim which means curd cheese or cottage cheese. In all three Baltic States this curd is sold as a snack: The curd is sweetened and flavored and gets covered with chocolate. 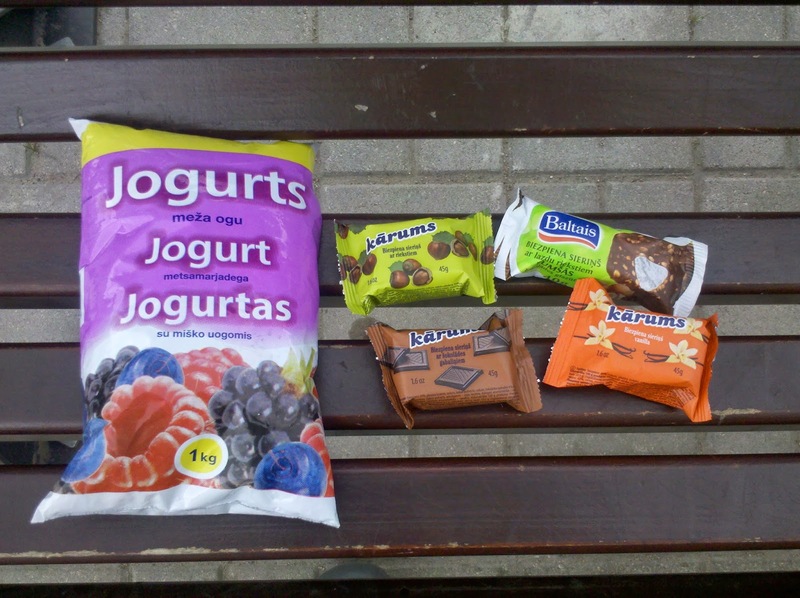 The little snack costs between 0,20 and 0,40 EUR and is sold in almost every supermarket in all sorts of flavors. I preferred popeyeseed. Most supermarkets and the very rare bakeries were also selling a wide variety of pastries - sweet and salty. These never cost more than 1 EUR per piece and usually made a very good lunch. But of course you don't visit a country to eat cheap food and find free wifi. Beside all these practicalities the main draw is the countries' history and culture. Here you'll find German and Russian influences, Catholic, Protestant and Russian Orthodox churches, three proud little countries with a huge Russian minority, weird languagues that no one else speaks but kids that are fluent in English, brand new high tech telecommunication and a totally desolate road system - but most important of all: people that are incredibly proud of their country. Very often I was approached by locals who wanted to explain things to me and show me their country. I was intrigued by each countries history, culture - and their people's strong will of survival despite centuries of occupation by different nations. 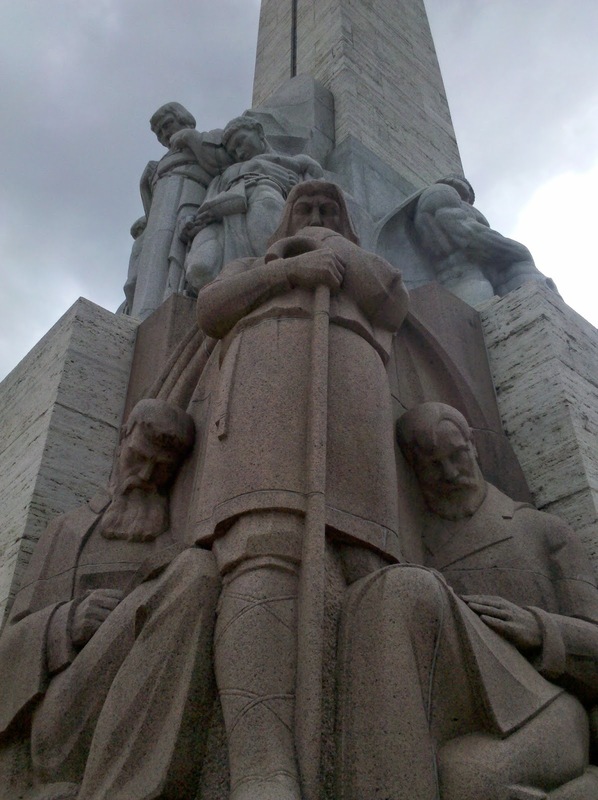 Bottom line: All three Baltic States are fascinating countries, full of contrasts and definitely worth visiting for their unspoilt nature and interesting historical sights. Just don't expect picture perfect cycling conditions - you'll have to bring some sort of sense of adventure. Maps: None of the maps of the Baltic States that I could get in Germany showed which roads are paved and which are not. For obvious reasons this is important to know for cyclists - and therefore these maps are not very useful. Don't spend too much money on them - buy country maps in the Baltic States were you can get them very cheaply. Often visitor information centres give away free district maps that have this information as well. Costs: Food in supermarkets costs roughly the same in all threecountries. Don't expect prices to be lower than in Western Europe. On the contrary: Overall I found grocery shopping in the Baltic States to be at least as expensive or even more expensive than Germany. Costs for restaurants and accomodation vary tremendously in the three countries. Estonia is the most expensive were accommodation and food costs almost as much as in Germany. Luckily you can there use the free RMK campsites and huts. 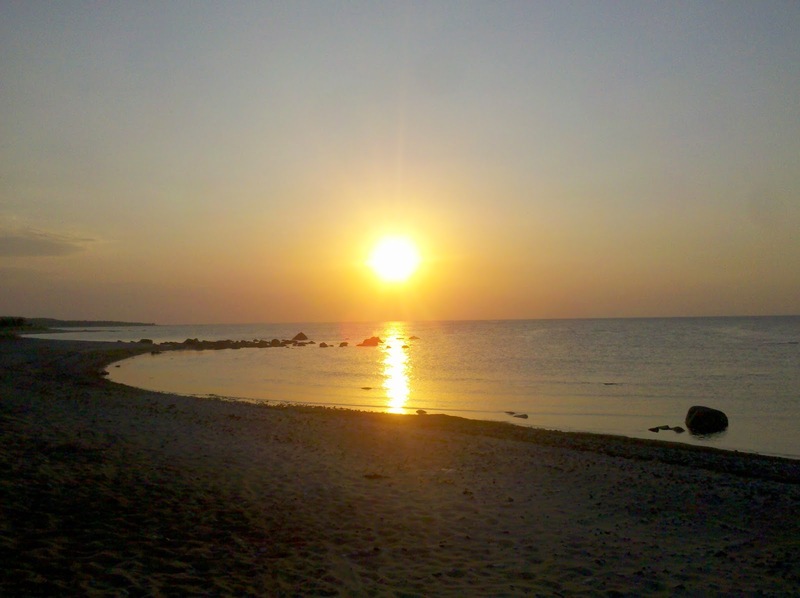 Latvia is already a lot cheaper and Lithuania is very cheap when it comes to accommodation. 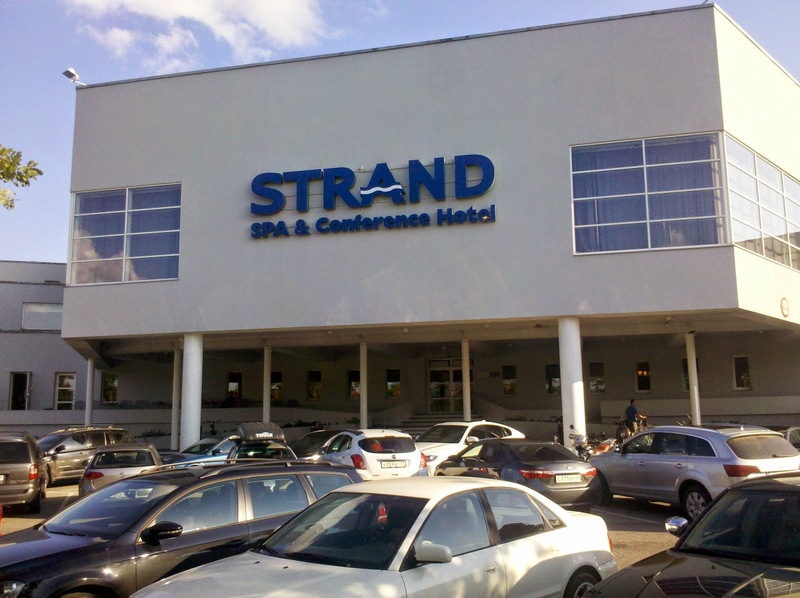 I paid as little as 15 EUR for a single room and stayed in really posh hotels for 25 EUR. Prices for restaurants are accordingly. Bike parts: As I have already described you will be on dirt roads a lot which will be bad for your bike. If you cycle here for a longer period of time, bring spare spokes and tires. 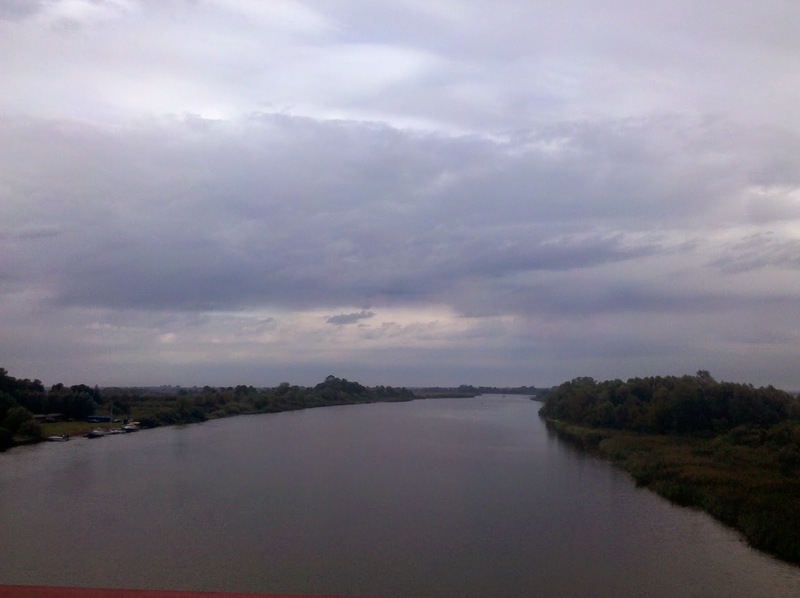 This Southern side of the river Nemunas was quite nice to cycle but I had to cross the river in order to stay on pavement. My map showed a ferry across the river and I was wondering how often it would run. When I arrived the ferry was already waiting and I rushed to get on.Unfortunately, then nothing happened for half an hour. The ferry man was polishing his car and ignored me. There was a schedule pinned on the ferry but the departure time it stated passed without anything happening. The whole situation had a bizarre touch. Eventually a car appeared and rolled onto the ferry which brought some action. The ferry man ditched his polishing cloth and collected money. And finally he started the engine of his age old boat and brought us to the other side. That evening I faced an interesting problem while wild camping. Although it was already half an hour before sunset the forest was still full of mushroom hunters. I was just about to disappear into the forest when an old grandmotherly woman appeared out of nowhere and talked nonstop to me in Lithuanian.... I just hoped that she didn't say anything about dangerous wild pigs or night hunts and just camped there anyways - and spent a quiet night. Next day I continued following the river but in order to avoid dirt roads I had to stay on a bigger road, the only paved alternative. Although the traffic was not too bad, there were too many trucks for my taste. After a full day with constant exposure to traffic I was just happy to get off the road at night for camping. Next day was my last day of cycling on this trip. 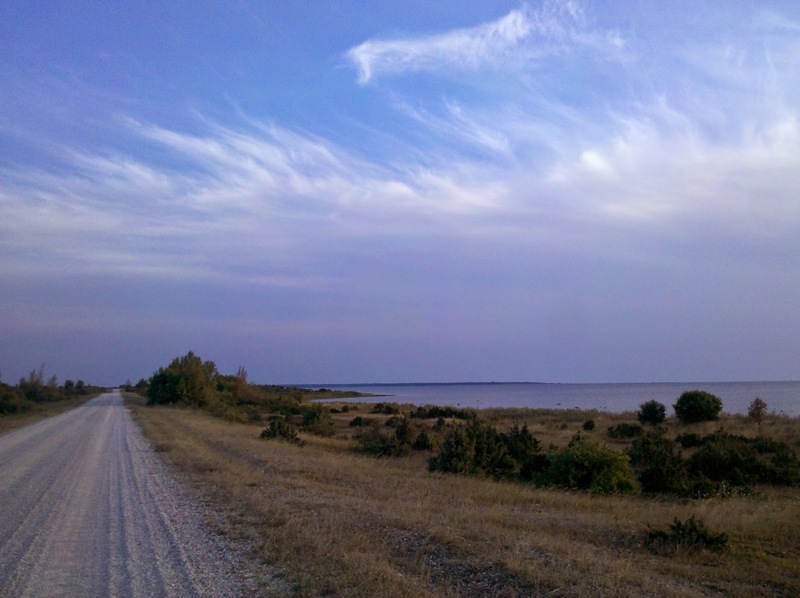 I planned to take a little ferry from Nemunas river delta over to the Curonian spit. In order to reach the morning ferry at 9 am I had to get up as early as never before: 6.30 am! To my great horror it started to pour down when I awoke. Now I was facing a dilemna: I had to be cycling by 7.30 am or I wouldn't reach the ferry. Should I risk getting wet in the rain or forget about the ferry idea and continue on the main busy road to Klaipeda. I was still pondering my options when the rain all of a sudden stopped at exactly 7.25 am - perfect timing! I packed my wet tent and headed towards the ferry - but couldn't find anything remotely resembling a harbour in the village of Uostadvaris where the ferry was supposed to leave. And that early on a Saturday morning there was no one around to ask. Luckily I had my GPS that showed a lighthouse 2 km away and there a small harbour materialised. When several Lithuanian cars with bikes on racks showed up I knew I was at the right place. And shortly thereafter a small ferry materialized. Because I was the only one with a fully loaded bike, it was placed right in the bow of the little boat - a crucial decision as I had to learn later. And unfortunately it wasn't really secured either.... 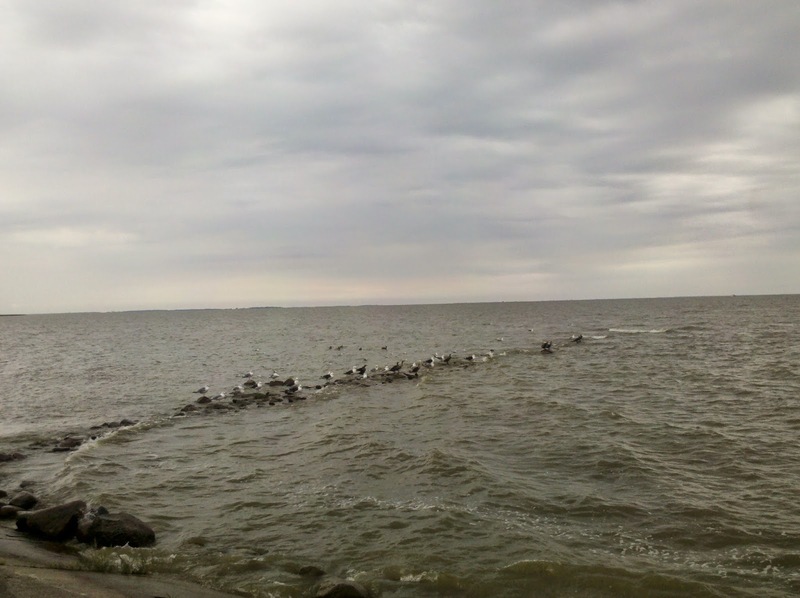 Soon the boat turned out of the river delta into the Curonian lagoon - right into some fierce swells. Waves splashed across the deck, passengers screamed and I checked on my bike. I checked once again, and then the swells became so strong that I couldn't walk across the boat any more. Everybody sat in their seats like fixed with nails and didn't dare to venture out. I just hoped that my bike wouldn't be tossed overboard. After two hours in these ups and downs I realised that I did get seasick in the end and concentrated hard on not puking. My bike was now left to its own devices. Finally we arrived in Nida on the Curonian spit and I hardly dared to look what had happened to it: It was in a different position than before but it seemed that everything was still intact. Only my bike computer had fallen off but I could repair it. I was endlessly glad to leave that bumpy ferry. 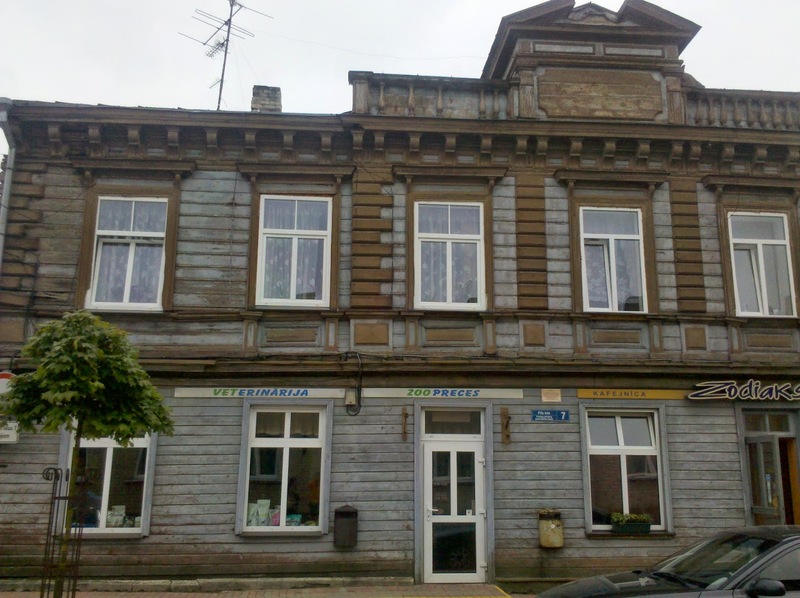 When I finally reached Klaipeda I was so unnerved that I didn't feel like sightseeing any more. My ferry left at 1 am, but luckily boarding started three hours earlier. The ferry port is 15 km from the centre and for the very last time I fought with bumby bike path, high curbs and reckless drivers on busy suburban highways. I reached the port when it got dark and to my great surprise there were even three other cyclists waiting for the ferry. 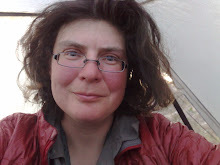 Still, they didn't provide much entertainment because they had booked an expensive cabin whereas I spent the 23 hour passage in a reclining seat trying to update my blog, repairing my tent and reading. Most passengers in "reclining seat class" are Eastern European truck drivers....What annoyed me most was the fact that there was no wifi on board. Almost every single little ferry in Finland and the Baltic States has had wifi but this huge German overnight passenger ferry didn't have any! So much for German efficiency! Anyway, on Sunday, 26th of August I arrived in Kiel after cycling 7,900 km in almost four months - and it has been a great trip! In Lithuania I had to make a last route decision. 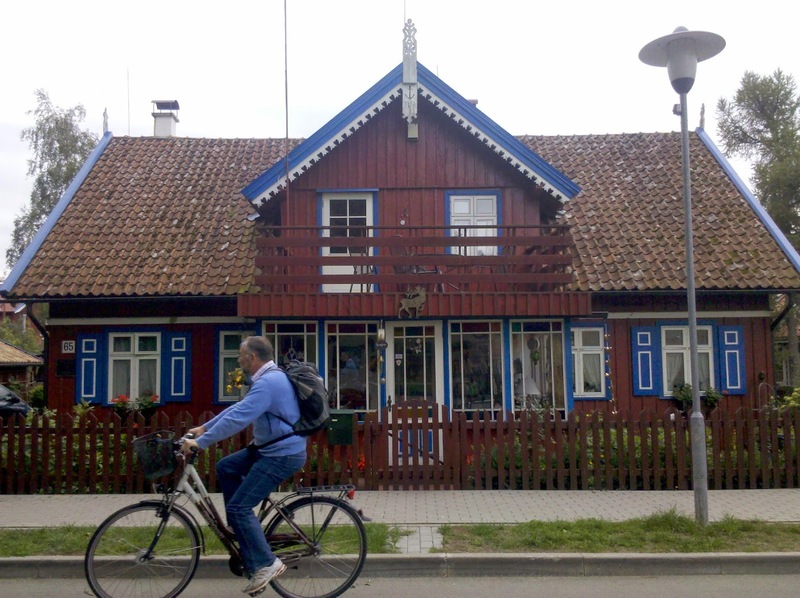 Originally I had planned to cycle to Klaipeda and from there along the river Nemunas to Kaunas where I wanted to finish the trip. But the weather forecast for the coast was so abominable that I decided to do this route in reverse - although I dislike taking public transportation during a trip. But wether I take the train from Kaunas to Klaipeda at the end of the trip or the train from Klaipeda to Kaunas now and cycle back later doesn't make much difference. But it wasn't only the forecasted strong headwind that made me flee the coast: it was just too crowded here! 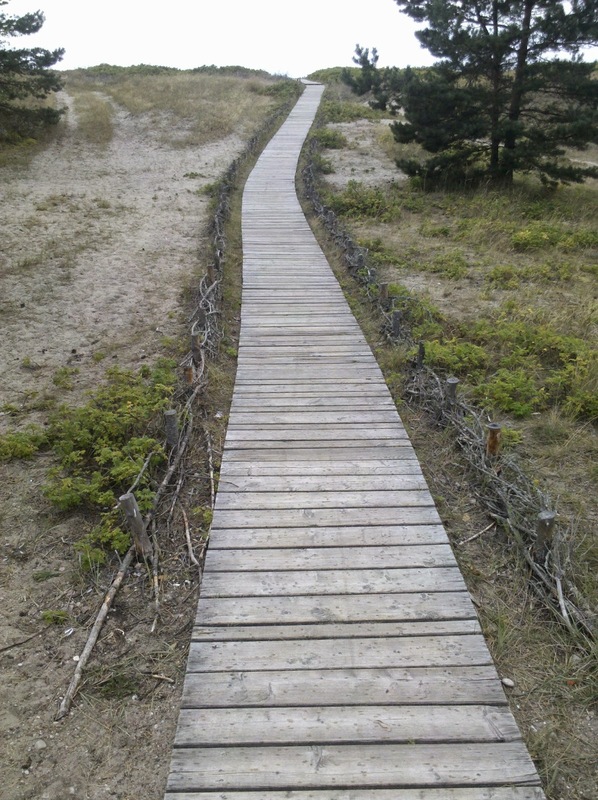 Almost directly after the border a fantastic bike only trail starts following the coast line all the way to Klaipeda. But unfortunately I wasn't the only one who knew about this bike path. Virtually everybody and their mother plus the kitchen sink was out here cycling. There were so many people (and inexperienced cyclists) that it was downright dangerous. Several times I had to stop for kids going ever which way and the worst were groups in bike draisines. There were bike rental places everywhere - and dozens of stands for drinks, snacks and general souvenir trash were lining the streets. This was a veritable zoo and I just wanted to get out of it before I was run over by a toddler on a tricycle. When I thought that the worst was over road chaos reached an even higher degree: I came across a dissolving music festival on the beach which caused a huge traffic jam. Teenagers with huge backpacks were everywhere trying to hitch a ride back home. The festival campsite was completely trashed and due to the heavy rains everyone was wearing mud boots and looked like a pig in a pigsty. When I reached Klaipeda train station parts of the festival crowd had already reached it. The station hall was full of dirty teenagers applauding to impromptu concerts. I was wondering wether taking the train today was really such a good idea.... But I was still sold a ticket and a seat reservation for my bicycle and myself so the train was not fully booked when I arrived one hour before departure time. I inspected the train and was shocked to see how high up the narrow compartment door was. How would I ever get my bicycle up there? Luckily there was another cyclist and I decided to just follow his example. I needn't have worried: Soviet customs still rule the Lithuanian train system. When the train finally opened a conductor appeared at every single door! You couldn't just enter the train - first you had to pass the conductor for ticket inspection. And of course the bike compartment had its designated conductor as well. I just had to unload my bike and lift it up to the conductor who placed it on a bike rack. Then I had to grab my panniers, walk to the next door, pass a second ticket inspection and find my reserved seat. The train filled up to the brim and kids lying around on the floor or depositing their wet tents in the aisles drove the conductors crazy. I just wondered how I would get out of this zoo in one piece with all my belongings. Again, I needn't have worried. The conductor took care of my bike and handed it to me. 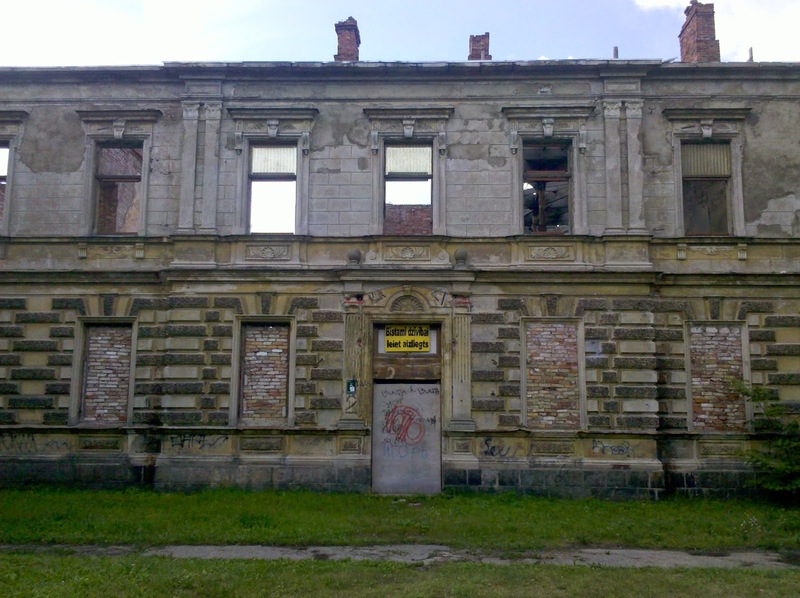 The train route doesn't pass through Kaunas and therefore I got off at the nearest town Kedainai which was described as a pretty provincial town in my guidebook. As I arrived close to sunset I had booked myself into a hotel. 29 € got me a veritable luxury abode. A hotel of that class would have cost me at least three times as much in Germany. The fantastic hotel was a bit of a consolation for the rather disappointing town. From Kedainai it was still 53 km to Kaunas and a strong headwind made me fight for every single one of it. But getting into Kaunas was the very worst. Big roads in disrepair with no shoulder or bike path but heavy traffic made me cycle for my dear life. Then whole roads were closed for construction and the sidewalk in such a bad shape that even pushing the bike was hard work. I was so exhausted when I reached my hotel that I just collapsed in my bed and stayed there till next morning. After this traumatic experience I decided to leave the bike in the hotel next day. 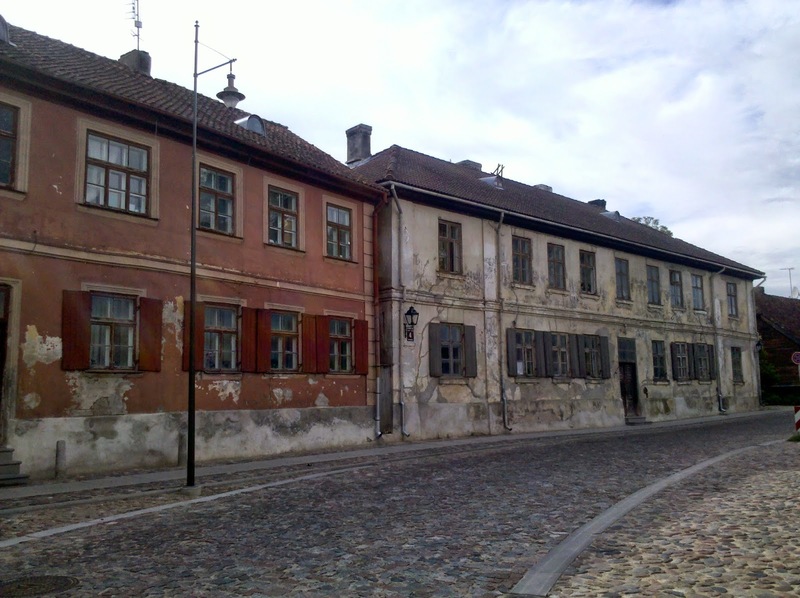 Kaunas itself was quite a nice city with a remarkable old town. 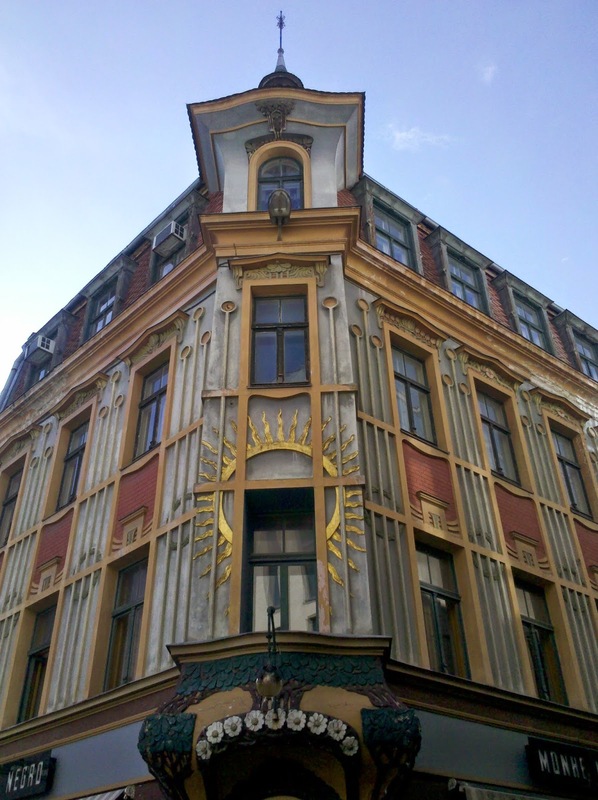 There is the usual share of old churches and houses and a 1,6 km long pedestrian street. The houses there had all been built under the Czar and were uniformly only two stories high, but have later been Sovietized. All this creates an interesting and charmingly shabby atmosphere. I walked the whole long street several times because I had discovered a vegetarian restaurant at one end. The place had the exact same menu as the vegetarian place in Vilnius where I had eaten several months ago and was obviously run by Hare Krishnas as well. 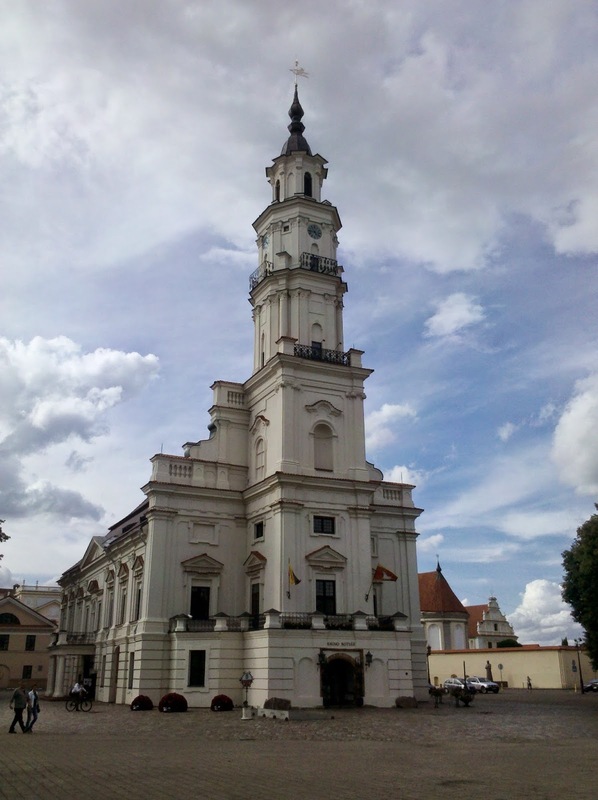 Lithuania seems to be a good hunting ground for all sorts of missionaries: not only did I see various Hare Krishnas, but also plenty of Mormon missionaries. Anyway, the Hare Krishna food was excellent and I ate there twice. Next day didn't start good: I wanted to see a Holocaust museum and memorial and because there were only a few buses going there I had the stupid idea to cycle there. After 45 minutes I had carried my bike up and down several flights of stairs, risked my life in two construction sites and had faced several pot holed bike paths that ended in Nirwana - and wasn't even half way there yet. Frustrated I just gave in and cycled back to my hotel and took the bus to the Hare Krishna restaurant for a little bit of consolation. 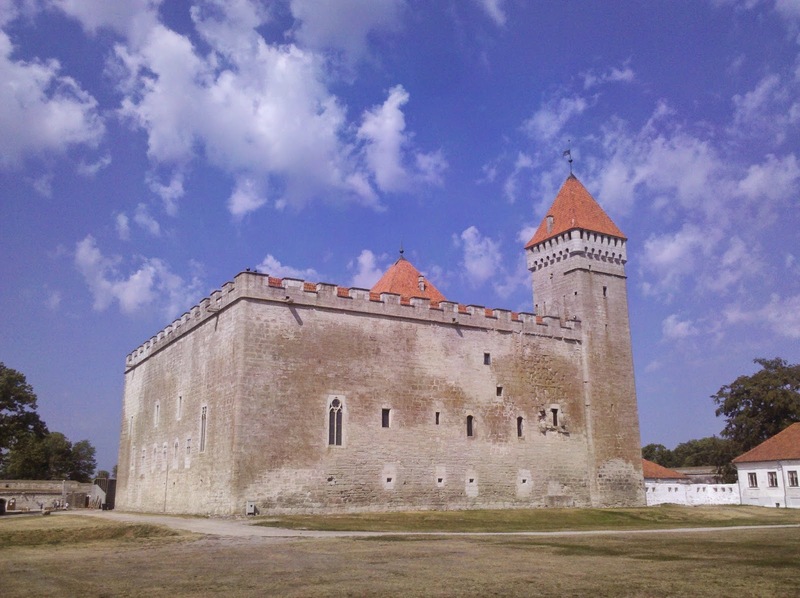 Thus fortified I now wanted to tackle the open air museum which is located 25 km outside Kaunas. On the way to the bus station I came across a hairdresser. I urgently needed a haircut and for several weeks I had been looking for a good opportunity. I mustered up all my courage and entered the place. One of the ladies spoke English but the one assigned to me seemed to know only Russian. It wasn't exactly confidence inducing that I had to explain in sign language what sort of haircut I wanted. I am almost blind without glasses and as I had to take them off while she worked on me I had no idea what sort of surprise she was producing. The procedure took forever and it dawned on me that I was at a real hairdresser. Normally I go to places like "Hair Factory" where you draw a number, your haircut doesn't take longer than 15 minutes and you have to blow dry your hair yourself. Here the "stylist" was working on me for over an hour, put several lotions and what not into my hair and was even blow drying it. The result exceeded my wildest expectations! It only remotely resembled the haircut I had wanted - it was 10 times better. In fact, this was the best haircut I've had in the last 7 years. If you put me in business clothes instead of a torn T-shirt and dirty bike shorts I would even pass for the serious business woman I once was! The whole thing cost me even less than a German "Factory" hair cut: only 10 €. I was so delighted with this unexpected professional haircut that I added a generous tip. 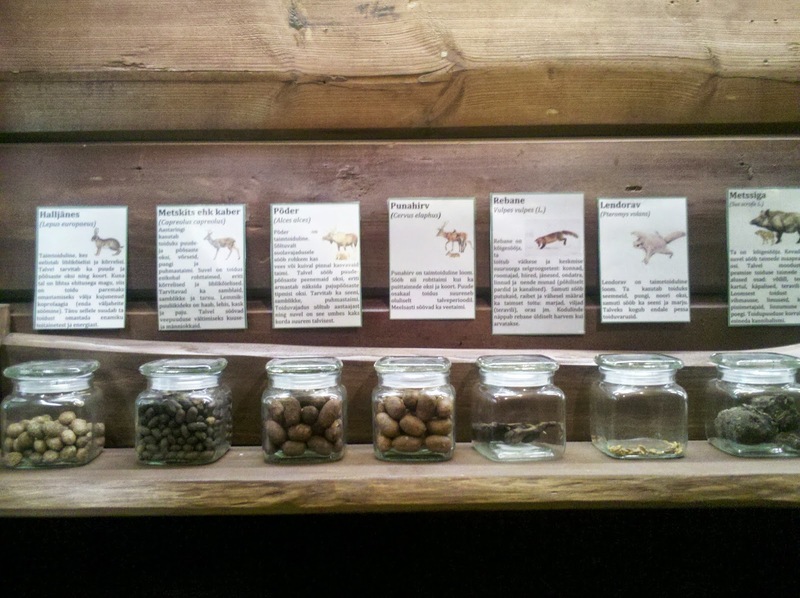 Unfortunately I had now very little time left for the open air museum but I decided to still give it a try. You have to take a microbus or long distance bus to get there - and of course the tourist information didn't havea schedule. I arrived two hours before closing and had to hurry a bit which was a shame: this was the nicest open air museum I have seen in this trip. 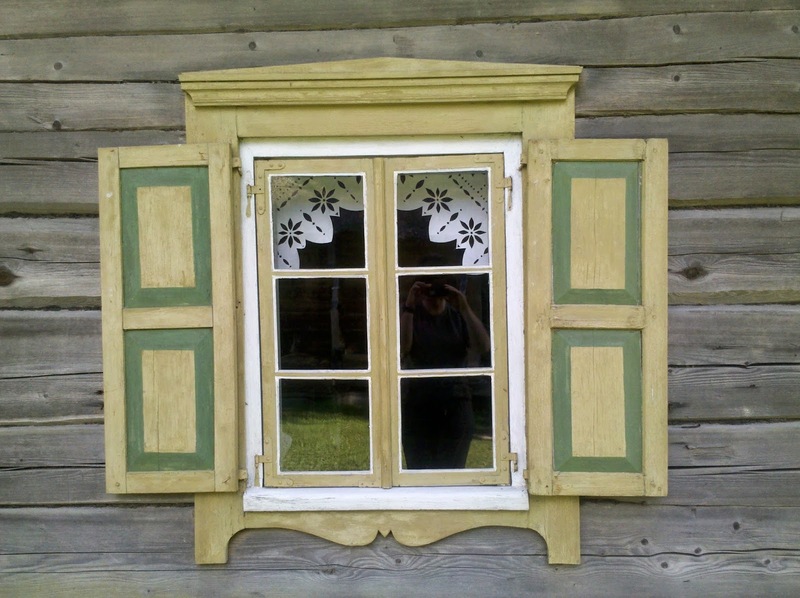 Not only were there dozens of old farm houses but an exhibition about Lithuanians who had been deported to Sibiria under Stalin. The whole place was in a beautiful location but also in the middle of nowhere. The time table in the bus stop was so old that it was illegible and museum staff only had an old time table. I was now wondering if and how I would ever get away from here. But miracle of miracles right on time according to "old" schedule a minibus appeared and transported me back to Kaunas. Bottom line: Kaunas is a really nice place but it definitely wins the price for the most bike UNfriendly place on this whole trip. Also this place does not cater very well for tourists. Outlying attractions are very difficult to reach by public transport (or bike) and tourist authorities are not very well organised. 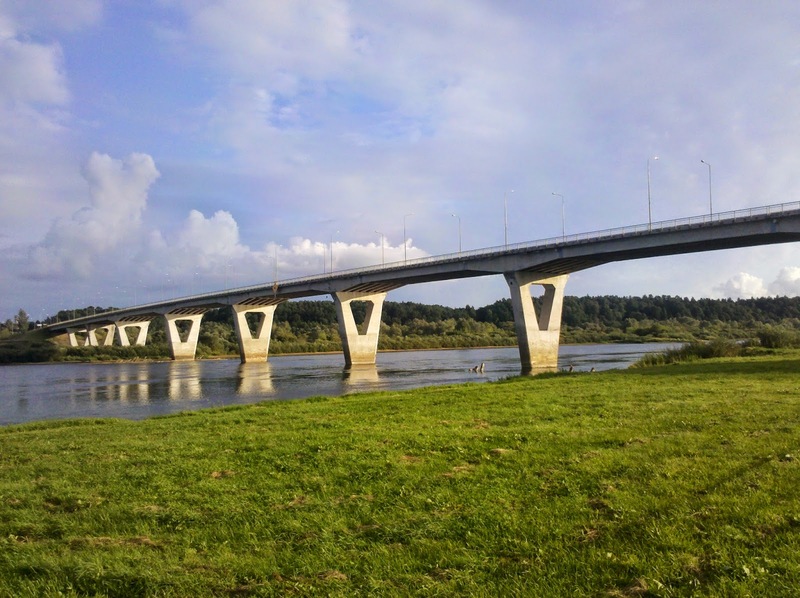 Latvia didn't greet me friendly: Immediately after the border I was routed back onto the main highway. The EV route then takes you onto a big 30 km detour on a secondary road inland to avoid the coastal highway. First I was relieved to be off the busy highway but to my great horror the secondary P- road turned gravel. The road was a nightmare in corrugation and I started yelling German swear words in frustration. 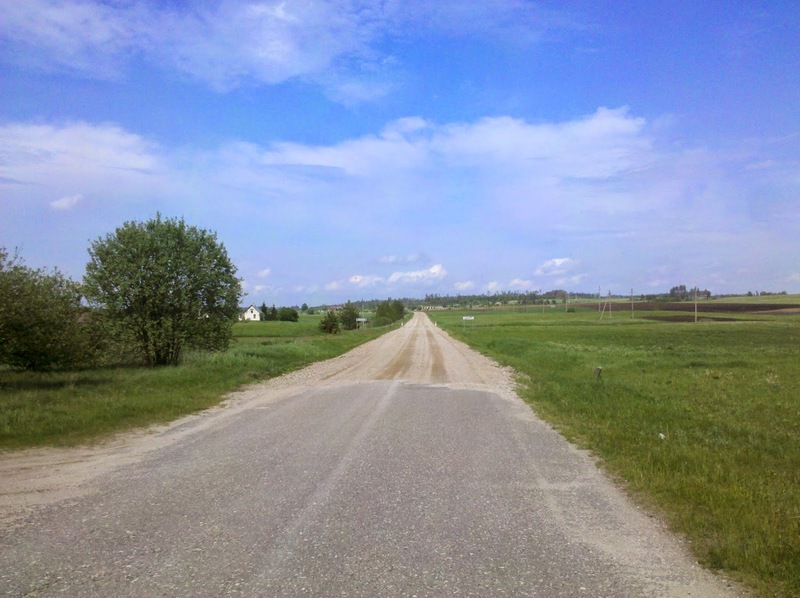 I had to do big miles that day to get to Riga in time and this gravel road was slowing me down tremendously. 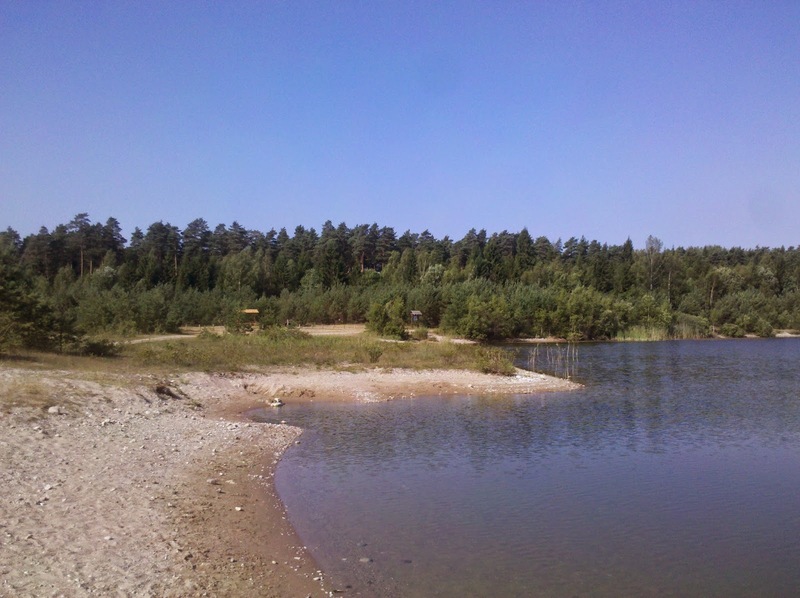 After 15 km the gravel turned into pavement again and when I then even found a lake for a quick swim I felt better. 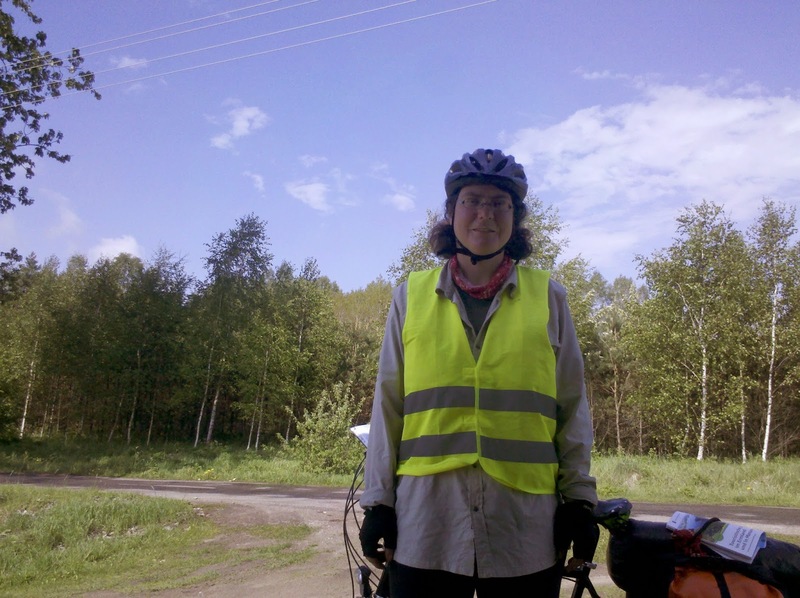 I even got up super early (for my standards) next morning and was cycling before 8 am to make the last 80 km into Riga. They dragged on and on but I was rushing now: a big thunderstorm was forecasted for the evening and I wanted to be in my guesthouse by then. Timing was prefect: I arrived one hour before hell broke loose and it started to bucket down. I watched the deluge from my room while comfortably skyping with friends in Germany. In fact I spent the whole afternoon and evening till midnight skyping and surfing the net. But this bike trip is slowly coming to an end and I had too arrange a lot of things. I wanted to use the next morning to plan the route for the rest of my trip but got totally side tracked by another guest I met at the breakfast table: a Hungarian language student who was studying Latvian in Riga. As a former linguistics student I was intrigued by her explanations of Slavic language families and soon I quizzed her about politics as well. 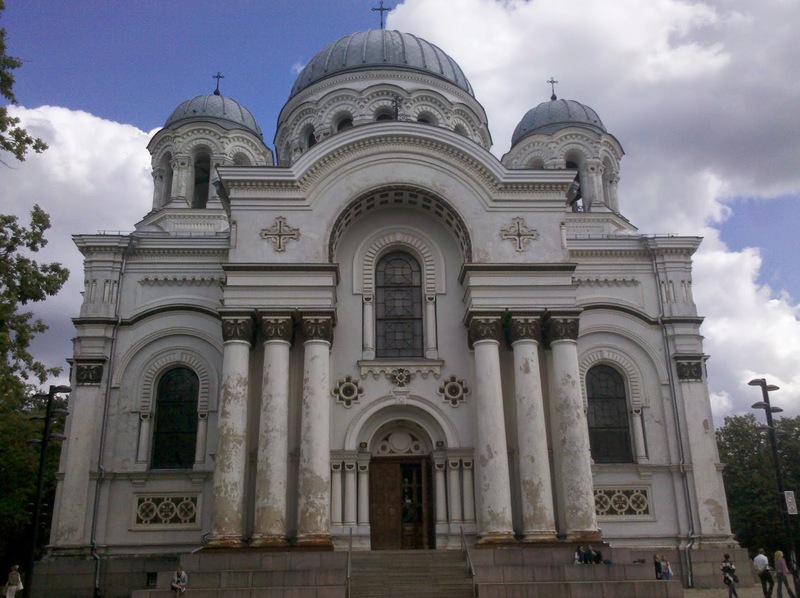 I really had to tear myself away in order to do a bit of sightseeing in Riga. This was going to be my bike free day and I took the trolley bus into town for a mere 0,60 €. I visited only one museum - the Occupation Museum. Each Baltic State had one, so this was number three for me. I guess this tells you a lot how much the Baltic people "like" the Russians. After touring the museum I couldn't help but quizzing one of the staff members, a very enthusiastic young man whom I now owe a lot of insights into current politics. 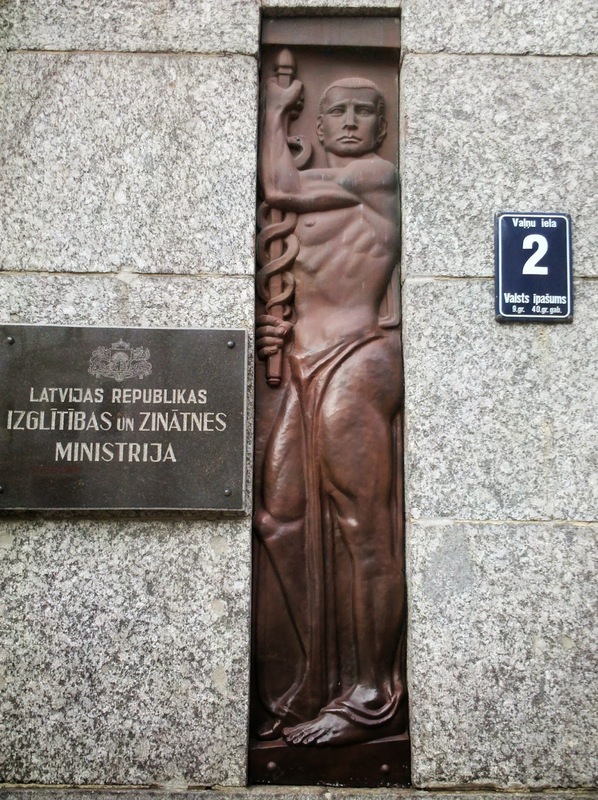 I learned that in Latvia women are wearing the trousers and that most of the Russian Latvians refuse to obtain Latvian citizenship which gives them the status "stateless", but no right to vote. Again I could have quizzed him for hours but I tore myself away to tour the city. I disliked the fact that you have to pay entrance fee to almost all the churches in the city. I therefore skipped crouch sightseeing and invested my money in a cheap restaurant. It served nothing but "Pelmeni", the Russian version of Raviolo. You served yourself out of steaming pots with different fillings, topped the whole serving with sour cream, parsley and pickles and then paid by weight. I was delighted to find out that my generous portion of "Pelmeni all sorts" was less than 5 € - and delicious. I liked it so much that I came back the next day on my way out of town. My last morning in Riga was kind of hectic. I wanted to book my ferry ticket back to Germany but despite good wifi I didn't succeed - there seemed to be a bug in their mobile website. It is amazing how much timei I waste on my trips with poor or intermittent wifi, faulty apps and a malfunctioning browser. I tried to call the ferry companies call centre but gave up after 10 minutes on hold. 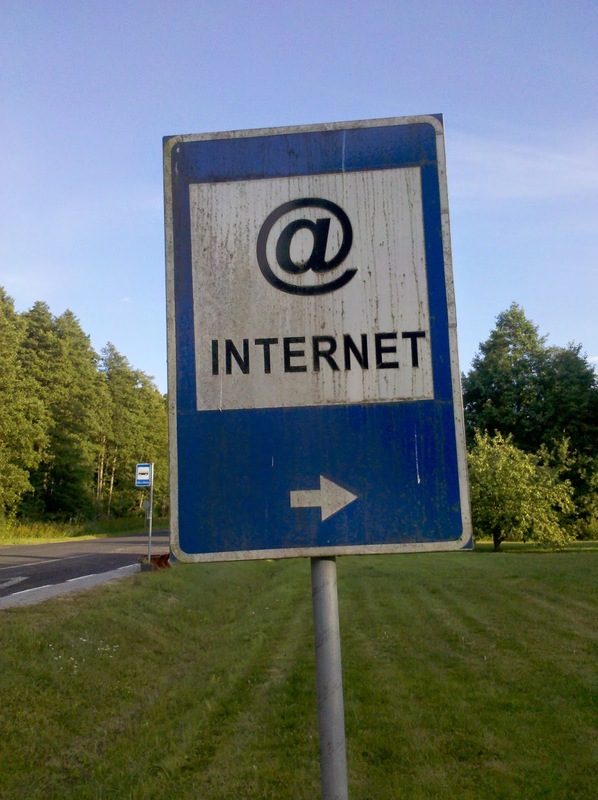 As much as I love the internet - it can be frustrating. 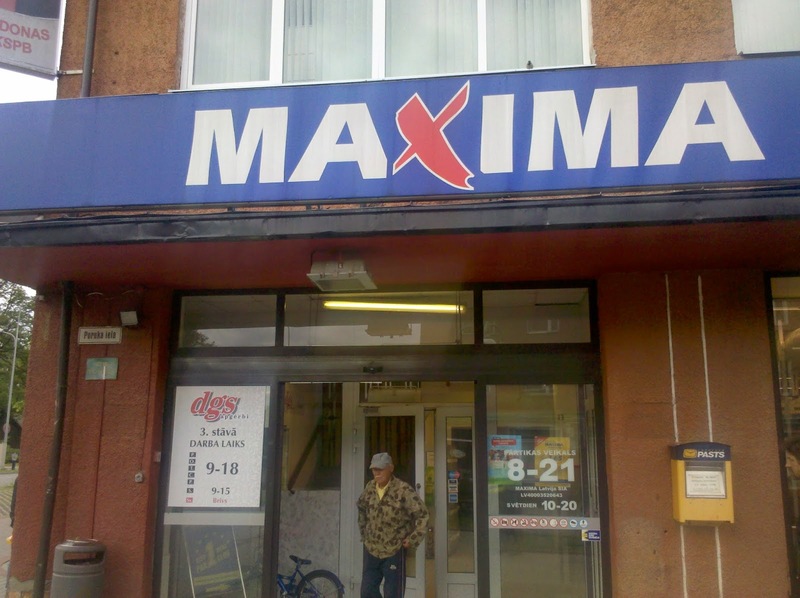 I needed a real computer and hoped to find that in the tourist information in Jurmala. 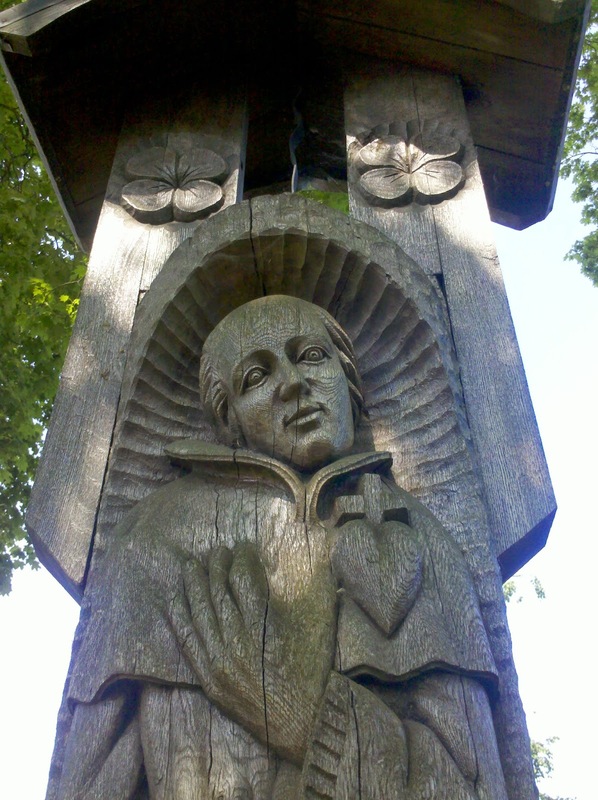 I now had to get out of Jurmala which seemed to drag in forever. And unfortunately the careless days of endless daylight are definitely over now. It gets dark, and I mean really dark, at a quarter past nine and I haven't quite gotten used to that again. 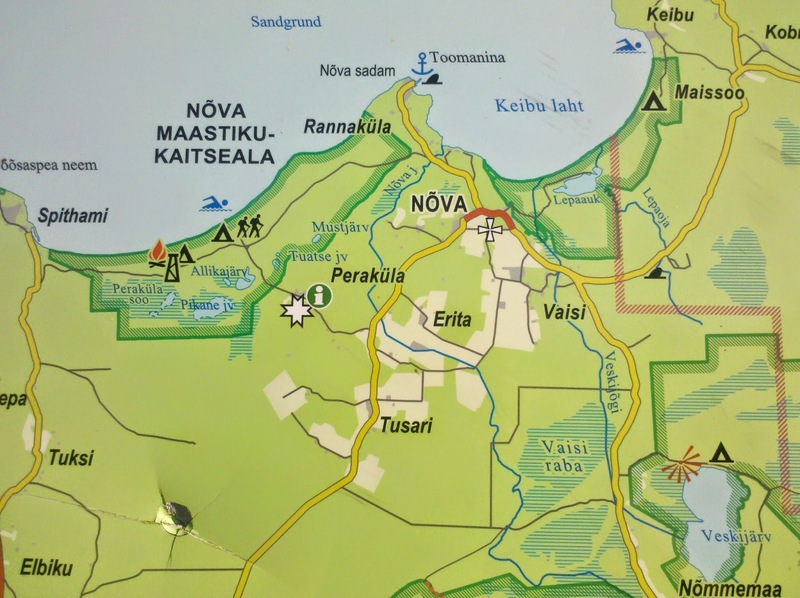 I wanted to reach Kemeri National park for a quiet camping spot but I really had to hurry now. But although I got there at sunset I found a great spot in my beloved pine forest. And a needed a good night's sleep now: in Riga I had skyped until past midnight and been woken up early in the morning by screaming Russian kids in my guesthouse. Next day there was a dramatic weather change but luckily I had just reached the tourist information in Tukums when it started to rain. While it was bucketing down outside I finally had the time and resources to plan the route for the rest of my trip. The long term forecast was basically rain (and sun) every day for the next two weeks. Considering the weather I gave up on the idea of following the coast line - I had also seen enough beaches already. 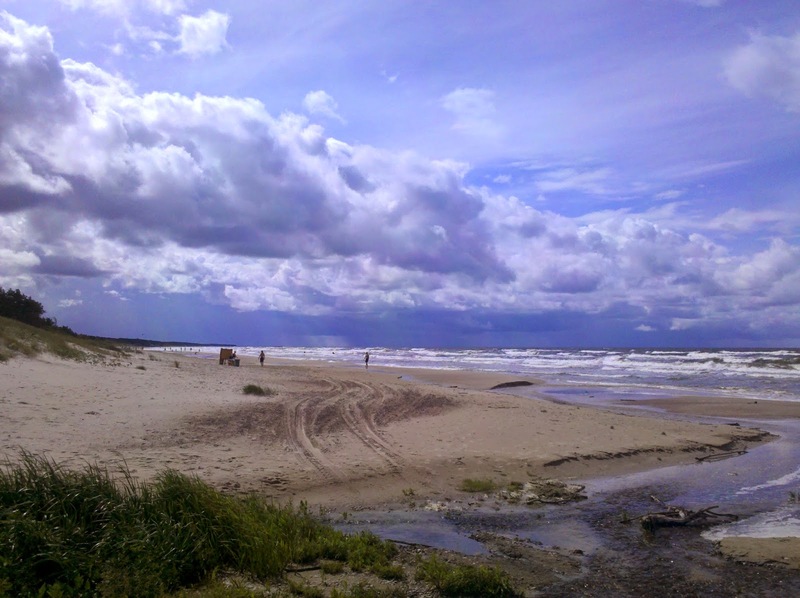 Instead I would cut through inland and join the coast again at Liepaja. For the first time in weeks I was cycling again in rain - and felt miserable. At least the rain stopped in the evening and again I had to cycle until sunset to get to where I wanted to camp. Maybe I should start getting up earlier.... I stumbled upon a picture perfect official campsite along the river Abava. Although marked on the map and signposted off the highway no one was there on the vast grounds when I arrived and I instantly used the chance for a sunset river swim. Thus refreshed I chose a hidden spot as far away as possible from the parking area as this was the perfect spot for an impromptu party or love lane. I was just about to go to sleep when my worst fears came true: a car full of intoxicated kids came across the lawn and parked close to my tent. Car doors were banging,cigarettes were lit and all this was accompanied by lots of yelling and laughing. I was trapped! The kids hadn't noticed me but I knew that I would just endanger my health if I went over and asked them to be quiet. But I also couldn't quietly move to some other spot without being noticed. I cursed the idea of camping at an official spot - stealth camping doesn't usually lead to this sort of problem. Luckily the kids soon got fed up and left after half an hour. I still slept fitfully because I feared another party. An early morning swim reconciled me with the place and as there was no one at the entrance when I left I didn't even have to pay the meagre 2,50 € camping fee. Next highlight was Kuldiga, a lovely little town boasting several Latvian records: highest waterfall (a breathtaking four metres....) and broadest rapids with 249 metres. But I mostly liked the old houses with paint peeling off the walls and the general feeling that time has stood still here - a charming little town and not very touristy at all. 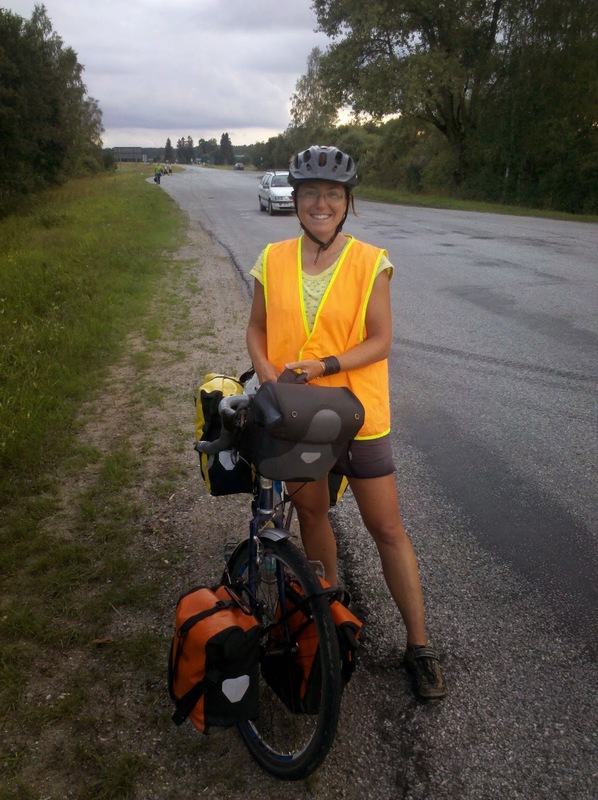 On my way back to the coast I met another long distance cyclist - Esther who has been cycling for a year now. Other than the ordinary two weeks cyclist here she had well used equipment - and stopped when she passed me. It was a pity we didn't have more time to chat but we exchanged used maps and a lot of information. 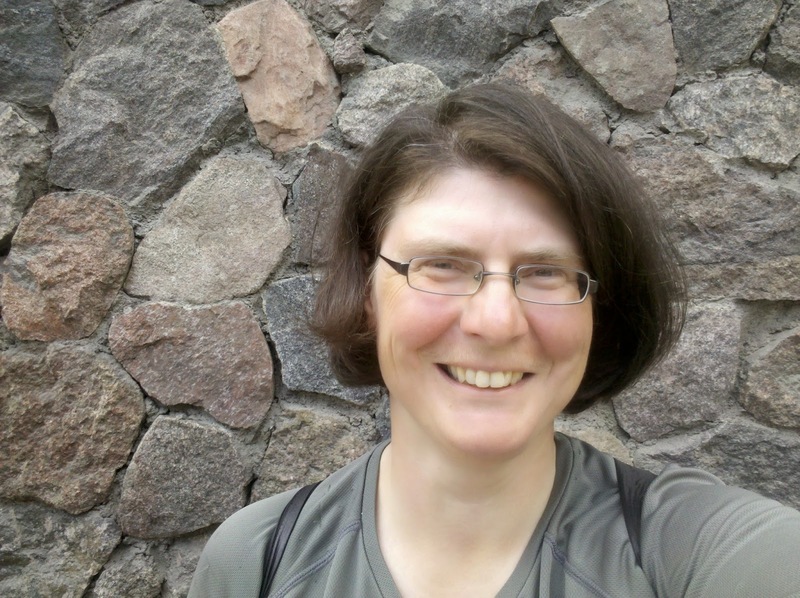 It is amazing how few long distance cyclists I have met in this trip - Esther was only the second one in almist four months. Finland and the Baltic States don't seem to be very popular in these circles. 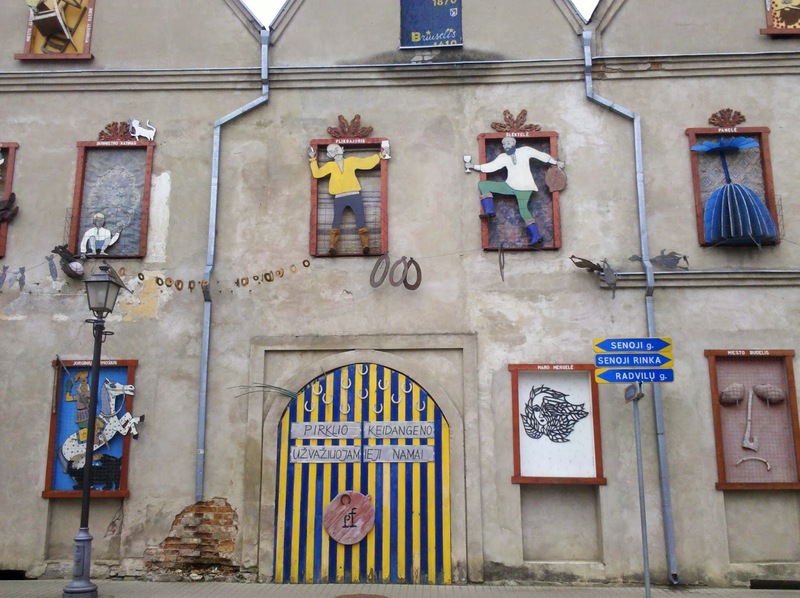 Karosta's main attraction though is the former military prison which has been turned into a modern event installation. You can book all sorts of tours and events that more or less seem to be like a beginners' course for SM. But the event concept is wildly successful! The hourly guided tours were fully booked and the prison "hotel" has been rated as one of the best event accommodations worldwide. You can book normal hostel accommodation in a cell or "Behind bars extreme" which requires signing a waiver beforehand because you'll be woken up in the middle of the night by prison guards, yelled at and physically punished. Even breakfast is authentic prison food. 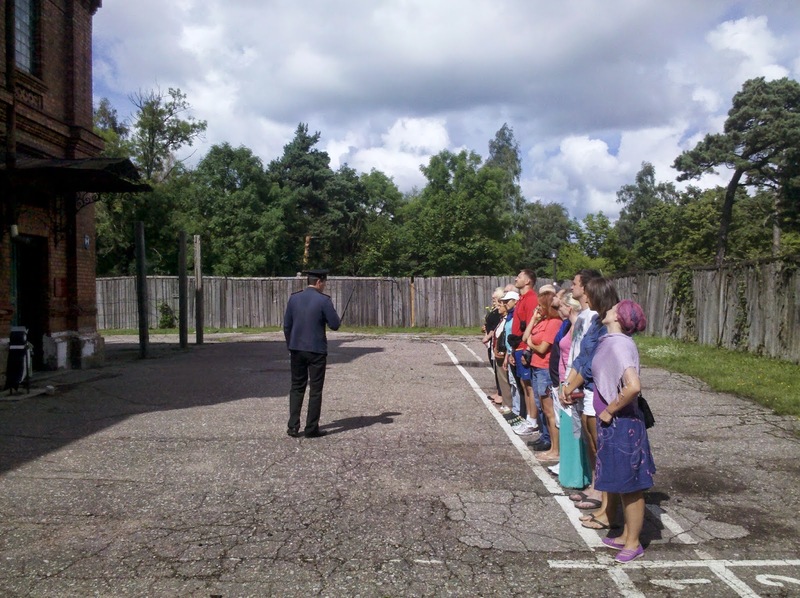 If you are fed up with this treatment you can book the group event "Flee from the USSR". I had just booked a normal tour but even here visitors had to walk single file and were locked up temporarily. Although I didn't find the tour particularly interesting, I found the concept - and its popularity - fascinating. Latvia had greeted me with a busy and dangerous highway and its farewell was the same. I had to cycle 50 km on the coastal highway. In a brochure an alternative was shown on gravel roads and tracks but as usual this was almost impassable with a fully loaded road bike. I did the gravel part road because I had to get off the main highway anyway in order to find a quiet campsite. And I struck gold again. I ended up in fantastic old growth beach forest in thick moss listening to the waves of the Baltic Sea - until at 3 pm I had to listen to a thunderstorm and was made aware again that my tent is leaking.... Luckily the thunderstorm was over quickly and the rest of the night was peaceful and dry. Next day was Sunday and this was a lucky streak again. Early Sunday morning there was hardly any traffic on the main coastal highway. In two hours only two trucks passed me. Still I was pedalling like crazy to get off the road as quickly as possible - and out of Latvia. 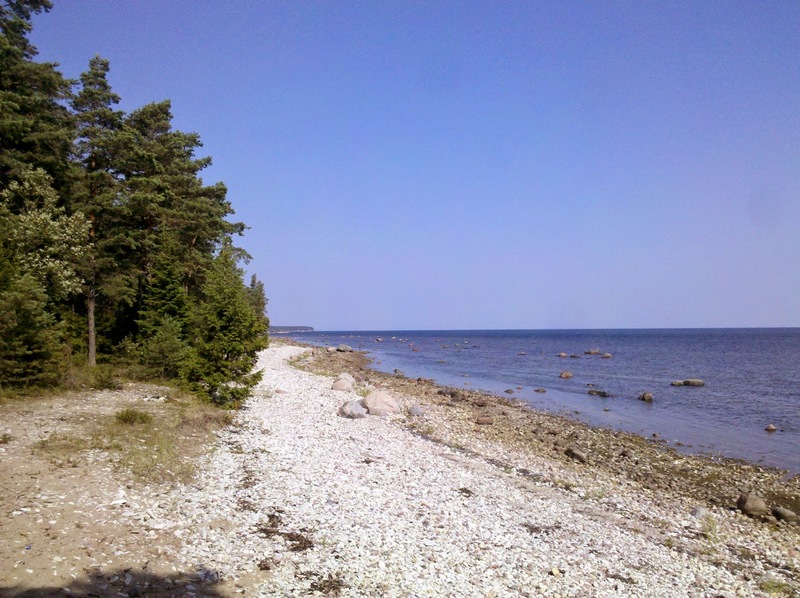 When I got off the ferry from Muhu at 5.30 pm I was first determined to cycle 30 km to a beach RMK campsite. But the area was so nice that I wondered if I should stay here instead. And then, just by some lucky intuition, I decided to cycle down a dirt road leading to a spit of land. I soon realised that this was a great idea. The area seemed deserted but nice forest right and left - unfortunately most of it fenced in, although the signs said that this was RMK property. I didn't really understand this because RMK means public land. Soon I found an abandoned track leading to the sea and decided that this was home for tonight although it was just 6.30 pm. (I usually cycle till 8.30 pm.) When I set up my tent I encountered an unforeseen obstacle: ants! They forced me to look around for another campsite - thank God! Because now I found the ideal beach camp site. The vegetation was very dense here but someone had cut "niches" into the thick brush creating grassy flat spots that were on three sides surrounded by low trees and scrub: perfect wind shelter and morning shade. And all this with a view onto the sea.... I don't know why the vegetation had been trimmed like that - and why no one else was there - but I was a very happy camper. At 6 am I was woken by sheep noises - and then it dawned on my sleepy mind what the fences were for. RMK tried to preserve this grassland by keeping sheep. As I hadn't jumped any fences I told myself that the sheep must be on the other side - and fell asleep again. 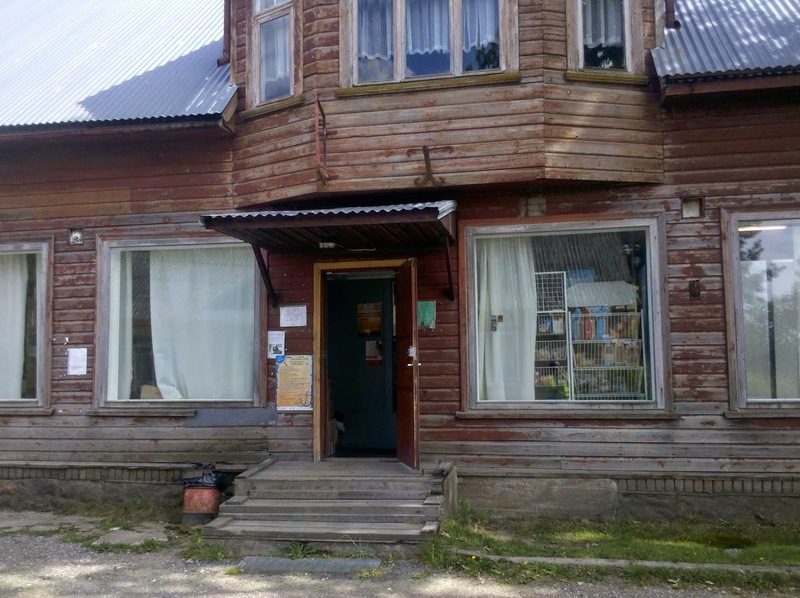 Next day I found a village library with wifi and try to figure out where to stay in Pärnu, my next town stop but had to learn that Pärnu is even more expensive than Tallinn. Arriving on a weekend didn't help either. I was still deliberating what to go when the librarian threw me out because she closed the place. No wonder - I had been the only visitor in one hour... Outside I spotted I heavily loaded bike and soon met its owner: the first other long-distance cyclist on this trip who was on the road since February and was headed to the US now. Over two hours we exchanged travel stories and tips until we finally made a move - in opposite directions. My already confused schedule was now screwed up completely. 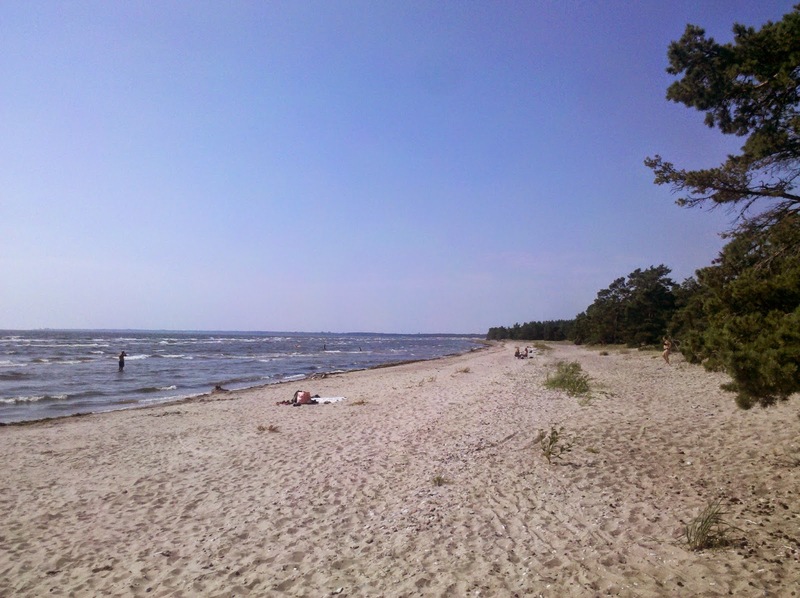 I just cycled on towards Pärnu and thought of staying at a cheap campsite along the road. But when I got there it seemed to be too close to the road for a quiet night. But my backup plan worked great. I turned off the main road onto an alternative bike routes. These are usually a nightmare on gravel. This one was not different but it lead me to an old orthodox cemetery in the forest, an enchanting but somewhat eerie place - especially at dusk. Some candles and lights on graves added to the special "atmosphere". But there was also a well which provided me with the opportunity for a sponge bath and a bit of laundry. I left the dead very refreshed and found a nice campsite in pine forest nearby - although I admit that I wanted to camp away from the cemetery. My luck continued in the morning. I had decided to continue on the alternative bike route and the gravel road turned out not to be too bad. But the real bonus was that it led me to a quarry lake and a refreshing swim. Therefore I entered Pärnu relatively clean. The fantastic summer weather was finally changing and rain was expected in a couple of days. Therefore my plan was to put in two long days and get into Riga before the bad weather began. The route itself wasn't too nice either: For long stretches I had to cycle either in the main busy highway along the coast or do detours on forest roads. Choose your poison! Although the route was very scenic the RMK campsite at Nova turned out to be a disaster. It was located in a lovely sandy beach but now, on a weekend in summer, it was incredibly crowded. And other than the day before these people were staying overnight and not leaving after a swim. Huge family clans had occupied the cooking shelters, their cars parked right next to their tents and there was even an ice cream parlor that had a generator running. To make things worse the dry toilets were overwhelmed and smelled badly after all this summer. Although the place was huge I decided to leave and try a smaller RMK campsite nearby without beach access. Same result: all spaces were taken and some groups had parked their car so close to the campfire that I was expecting an explosion soon. I cycled on and discovered another RMK site for swimming. The last visitors were just leaving (in their car, of course) when I arrived giving me the opportunity to go skinny dipping. There was a thermometer in the water and it showed a water temperature of 25° C! It was getting dark now and I still hadn't found a campsite. This was a nature reserve where free camping was explicitly forbidden and I wanted to respect that. After a lot of back and forth I finally settled on an abandoned forest track just outside the reserve - less than a kilometre from the nature centre. The place opened at 10 am and I had thought I would be long gone by then but again I had just slept in. Still I was the first visitor enjoying a nice toilet, free wifi and drinking water. The exhibition was unfortunately in Estonian only and the very eager staff didn't speak English. But the put me in front of a microscope and I enjoyed studying various samples of sand. But duty was calling: today I wanted to take the ferry to the island of Hiiuma and I still had some miles to pedal. This gave me little time to visit Happsalu but this didn't matter much: a music festival was taking place there and the big castle was only open to festival visitors. So onward to the ferry that took me to Hiiuma in 90 minutes. Soon after getting off the ferry I started to like the place: hardly any traffic, beautiful forest and plenty of beaches. This is how I had pictured the Aland islands. I wanted to try another RMK campsite at the top of a spit of land. But when I realised that every place with beach access was already taken by families with cars I knew that the RMK campsite would be full. Plus the access road was deep gravel and torture for my bike. I gave up on beach camping and looked into the forest instead where I found the picture perfect campsite: thick soft moss under huge old growth pine trees - and no mosquitos! Life was good again! Next day brought me into Kärdla, Hiiuma's "capitol". But beside a big supermarket and a nice beach there isn't really much to see. 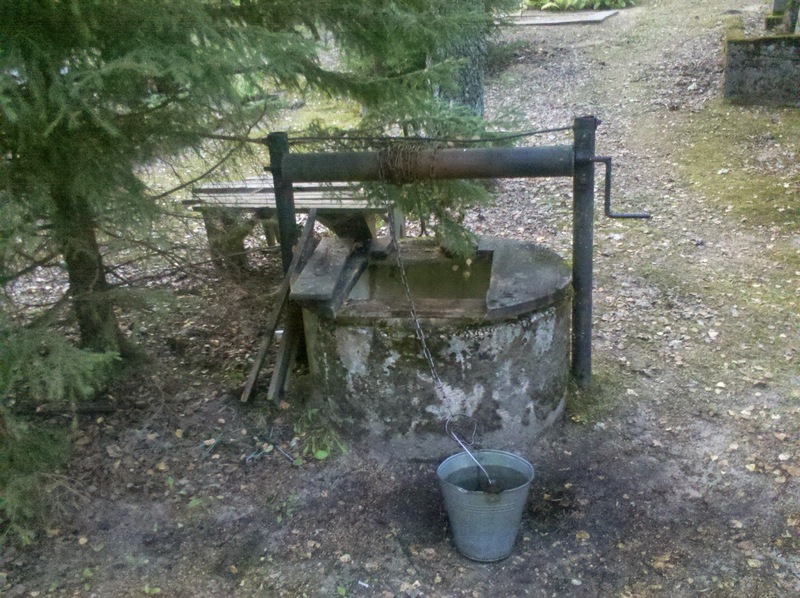 But there is an artesian spring right in town with great tasting water - usually the tap water on the islands tastes very sulphurous. The lady in the local visitor centre food a great job: I wanted to leave the island with the last ferry but she talked me into going to Kopu peninsula. The weather was great and I am in no hurry - so why not? First I passed Kopu lighthouse, a monster of its kind. Instead of now going back to the main paved road I idiotically decided to cycle the direct route to a RMK Hirmuste campsite. This was a very bad gravel road and I managed to fall off my bike for the second time on this trip. Beside a scratch on my ankle nothing happened to me, only my mood dropped considerably. The many horseflies didn't help either and I almost regretted my decision to try another RMK campsite that would probably be full anyway. Half a dozen times I was about to just camp somewhere in the forest but luckily I continued. 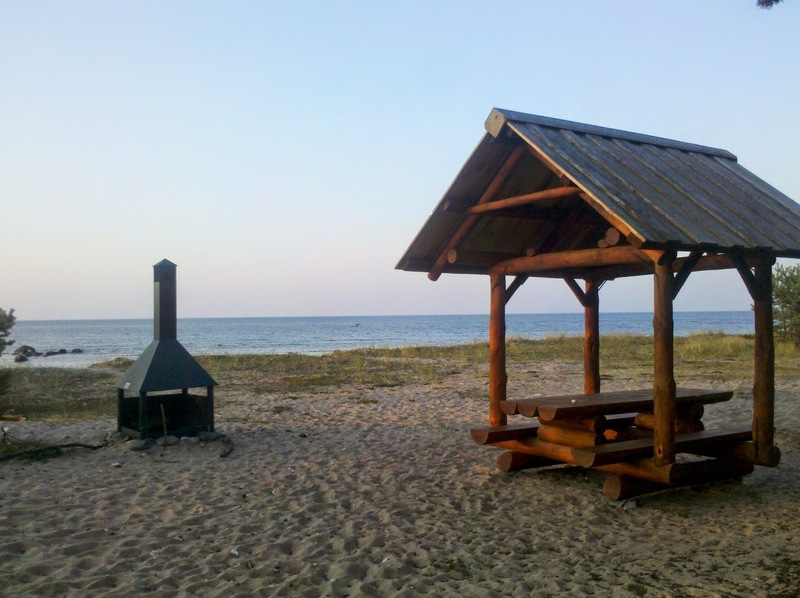 When I finally reached the campsite it was completely empty which completely surprised me: this was a picture perfect spot: Picnic tables and camp fire grills right on the beach scad lovely sheltered campspots between small pine trees. There were even dry toilets and trash cans. I set up camp with a view out onto the sea and cooked dinner while watching the sunset. Again life was very good. Despite this idyllic evening next morning started badly. I had completely miscalculated the sunrise location and was frying in my tent under direct sunlight by 6 am. Well, I had wanted to get up early anyway to get the midday ferry to Saarema. I was cycling shortly after 7 am (a new record on this trip) but I still had to do 5 km of horrible dirt road accompanied by hundreds of even more horrible horseflies. I'd rather deal with mosquitos than aggressive horseflies. I am just not fast enough on dirt roads to escape them. I wanted to see the cliffs at Panga but when I arrived at a crossroad and saw that I had to do 7 km on corrugated dirt road to get there I chose a different route. What I really wanted was a swim - in a lake and not in the salty sea. Although the beaches here are great the water is very shallow and sometimes full of algae. RMK offered the perfect solution: Konati campsite next to a quarry lake. I just flew along and got there when the last kids were just leaving on their bikes. It was absolutely heavenly to wash off all the sweat and grime and put on clean clothes afterwards. I even cooked sitting on a bench. Unfortunately, an Estonian family had arrived and was noisily setting up camp after driving their car directly next to the fire pit. I fled into the nearby forest. 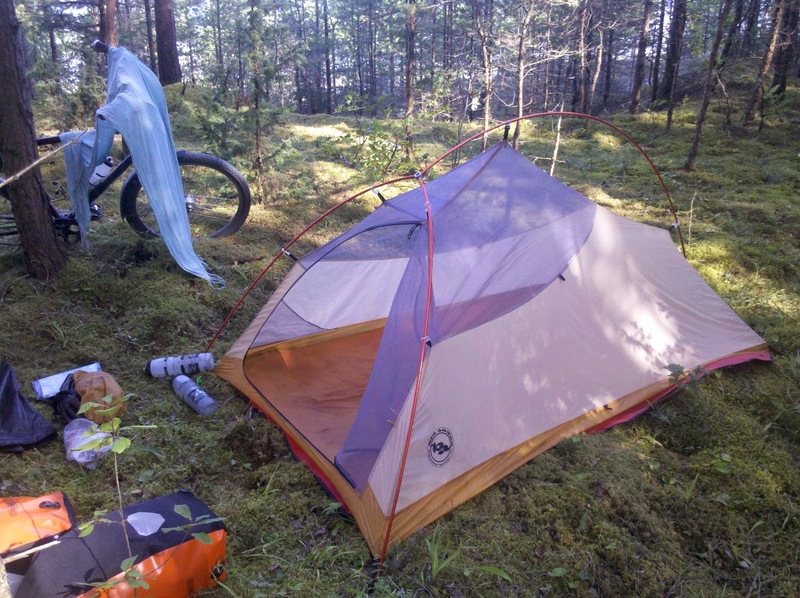 My swamp camp site had one big advantage: complete morning shade and so I slept in to recover from my 120 km day. And of course I took another short swim before I left the quarry lake. I was now circling the island on quiet roads mostly following the coastline and I liked it more and more. 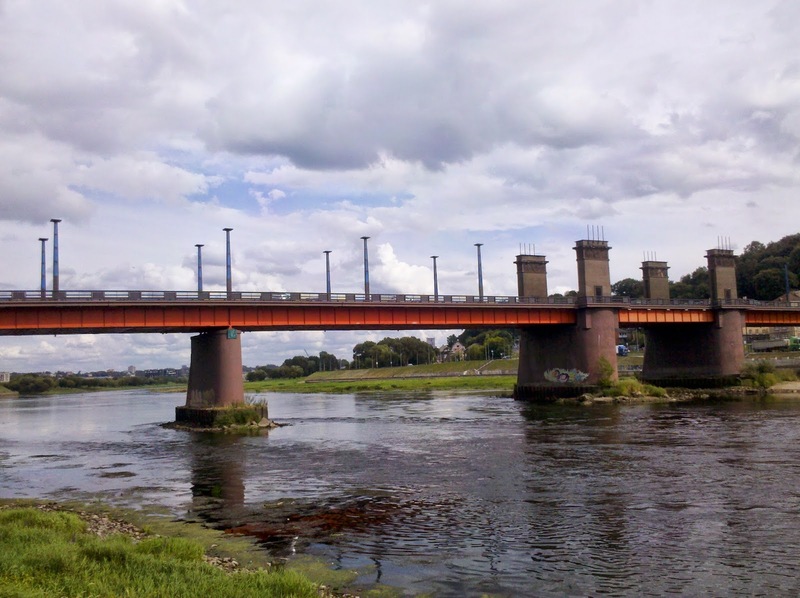 This was cycle touring at its best and the endless summer weather helped of course. The villages were rather small but usually had a little shop for an ice cream stop and wifi somewhere. And in between more and more beaches with just some occasional Estonian or Russian visitor. Nature was great, too. I stopped at the information centre of Vilsandi nature reserve where visitors admired cute deal babies and little bird chiclets in a documentary. 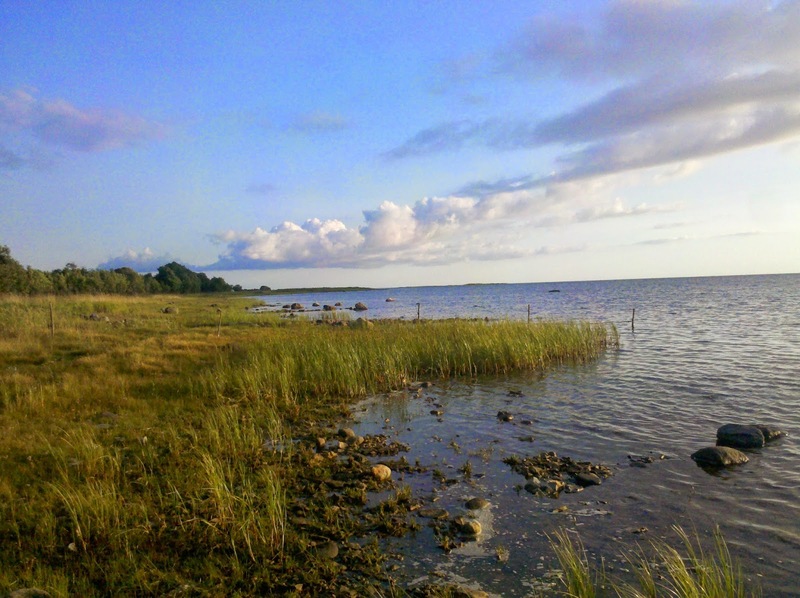 Vilsandi is an islands off Saarema's coast and go can go there by ferry - or walk. The water is that shallow. Actually Saarema itself is rising each year by 3 mm. This doesn't sound like much but it adds up over the centuries. As I liked the island so much I decided to do another detour into Sorve peninsula, a 30 km long spit of land that was once an island, but is now connected to the main island due to land rising. I quickly turned off the main paved road onto gravel to look for a quiet campsite. Finding a campsite turned out to be difficult but the route along the shallow coastline was fabulous. Huge fields of reeds and sandy beaches, even a lighthouse one one side and pastures and forest on the other. All this in the warm light of dusk and I felt a bit like in a fairy tale. There were plenty of places to camp but they all lacked shade. And I did not want to be woken 6 am when I had only set up camp at 10 pm. Finally a good spot emerged down a little side road - and it was high time as it was already getting dark. At 6 am a farmer came by in his car but didn't see me under the low trees although I was less than 2 metres away from the dirt track. I now cycled back and headed towards.Kuressare, Saaremas capitol and home of the famous castle of the Teutonic order - a truly impressive place surrounded by a huge moat. Inside there were several exhibitions: a nature centre, a history exhibition and a lot of information about the "Red terror" during the Soviet occupation. I always wonder how the many Russian tourists feel when visiting this. Kuressare would have been a nice overnight stay but the weather was just too good and I continued to Karli, a rather weird sightseeing spot. 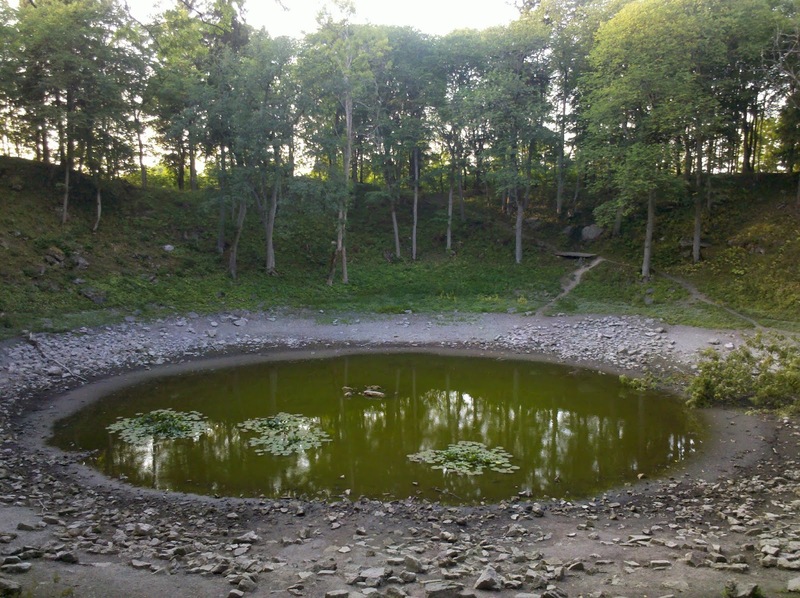 Saarema was hit by several meteorites 6000 years ago and here you can see the craters - which don't look like much nowadays. This night my spell of great campsites finally broke. When I reached my "target camping area" I realised in great horror that this was all swamp forest with no tracks getting off the main road. When I finally found one it was so destroyed by tractor tracks that I had to push my bike and was still shaken. Thunder was rumbling and I quickly wanted to find a campsite in the forest jungle which always involves crossing the ditch in swamp forest. It never really rained but I realised quickly that I had camped too close to the road. Each passing car sounded like a thunderstorm and woke me up, especially some idiots who performed a honking concert at 2.30 am for a reason that totally eludes me. Next day a major thunderstorm was forecasted and I decided therefore to stay in the bigger roads where I could always seek shelter in one of the fabulous bus shelters. I felt very sticky and wanted a quick clean up. Salty sea water just doesn't cut it but where else could I get a quick shower. Like on cue a cemetery appeared with a water pump. I filled a plastic bottle, sought shelter behind the cemetery wall and some bushes and had a quick and refreshing bottle shower. The thunderstorm never materialised and therefore I dared to enter the causeway between the islands of Saarema and Muhu. Still no thunderstorm. I continued on to the ferry that only took half an hour to take me back to the Estonian mainland. Hiiuma and Saarema have been real highlights of this trip. I can highly recommend this destination which is ideal for people with "normal" one or two week holidays. 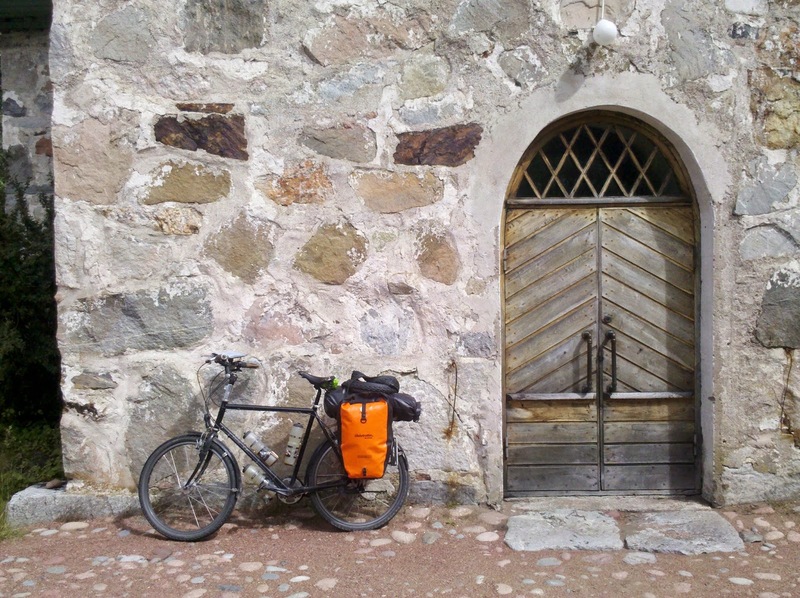 Get to Tallinn, cycle along the coast to Hiiuma, circle Hiiuma,.take ferry to Saarema, circle Saarema, take the ferry back to mainland via Muhu and return to Tallinn by bus or continue to Pärnu. You'll find quiet, flat and scenic roads, hardly any other tourists, fabulous sandy beaches, plenty of free RMK campsites and other wild camping opportunities, interesting wild life and plenty of nice little villages. 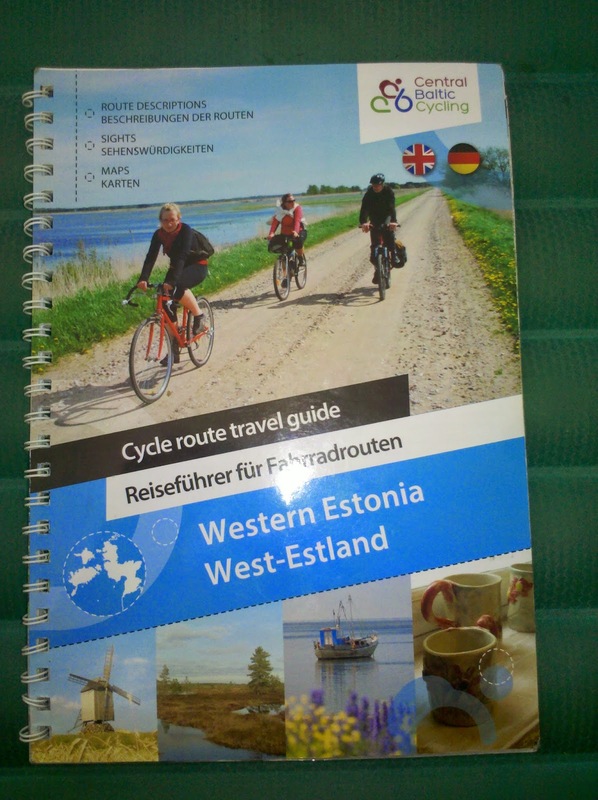 There is also a free cycling guidebook about Western Estonia published by the Estonian tourist board printed on waterproof paper that covers the whole area and also gives tips for logistics and sightseeing.